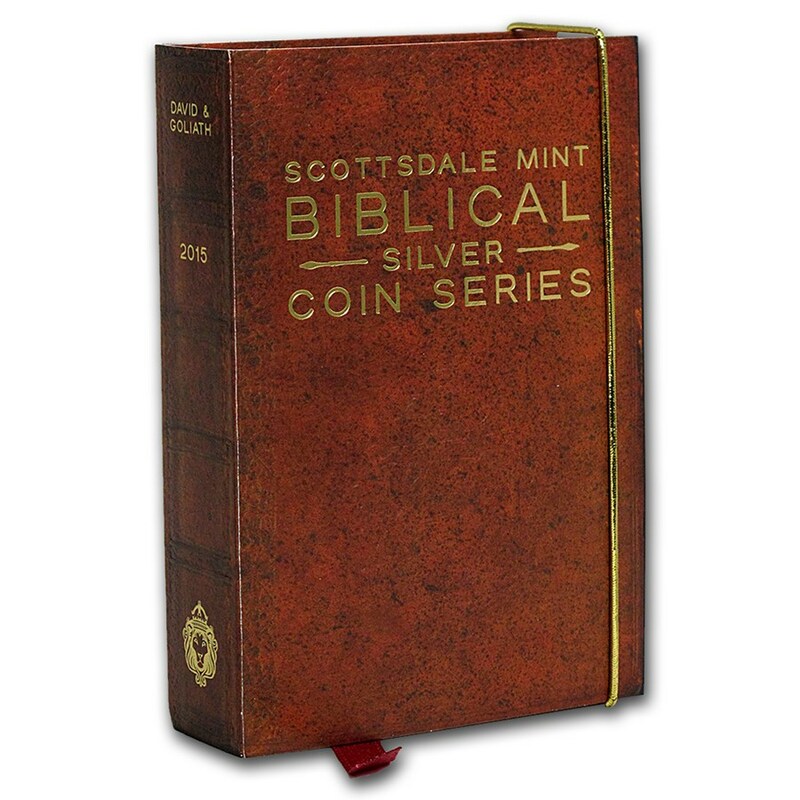 Launched in December 2014, Biblical Series is produced by Scottsdale Mint, an American bullion company widely liked for its unusual bullion products like the Stacker and Tombstone series. 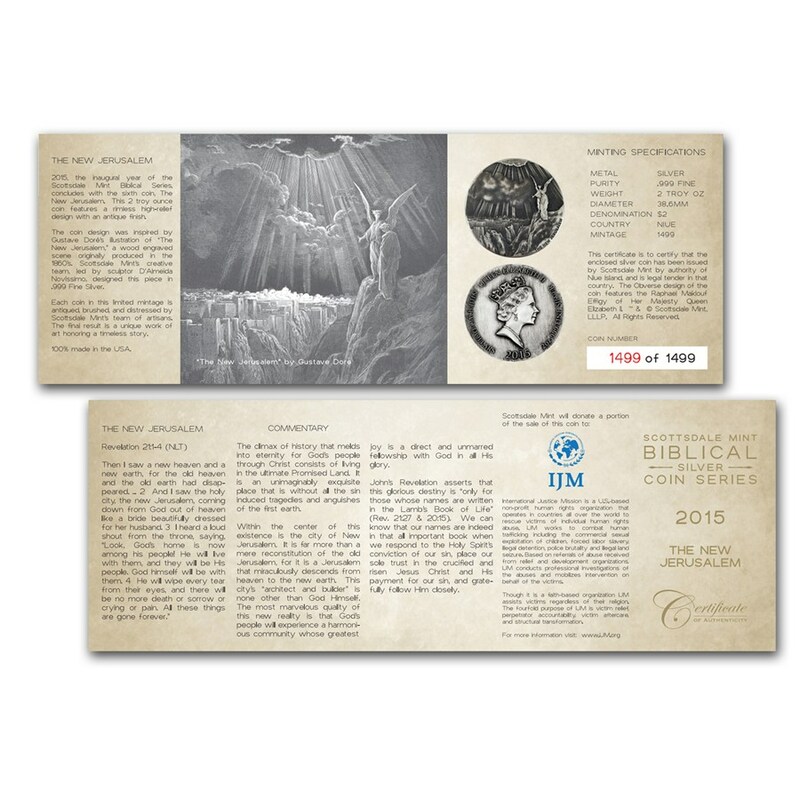 Their first large venture into numismatic coins, Biblical Series is also one of the most ambitious in modern precious metal commemoratives. 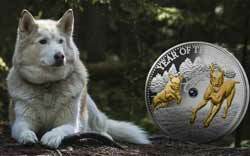 Designed to be released in sets of six annual coins, there will eventually be sixty in total, spread over a decade. While some series do reach these numbers, they’re not generally mapped out in advance. 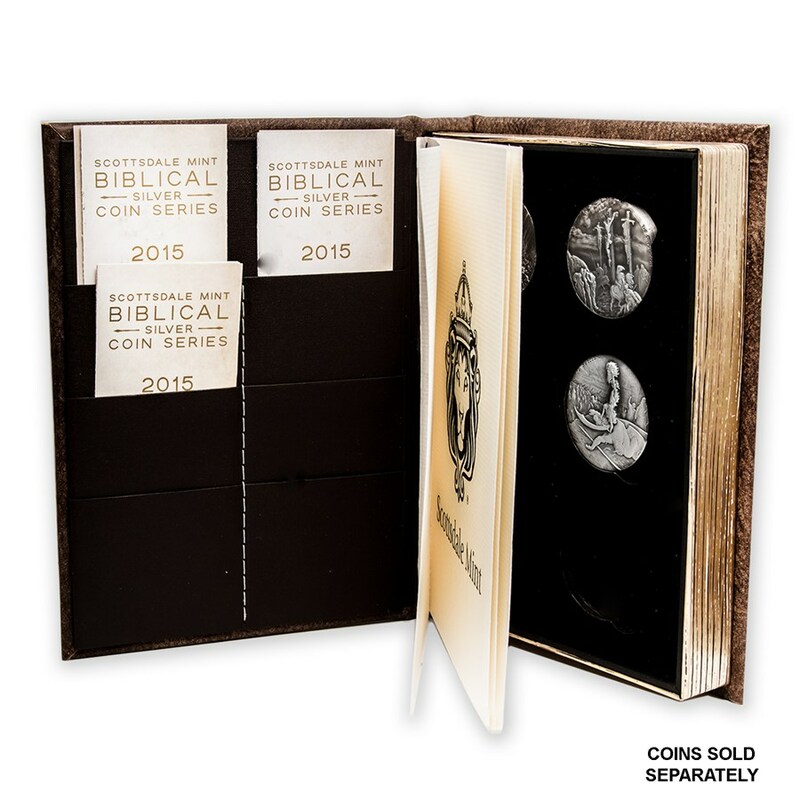 Following the current trend for ancient mythology combined with high-relief strikes and antiqued silver, Biblical Series coins are struck in two ounces of fine silver. 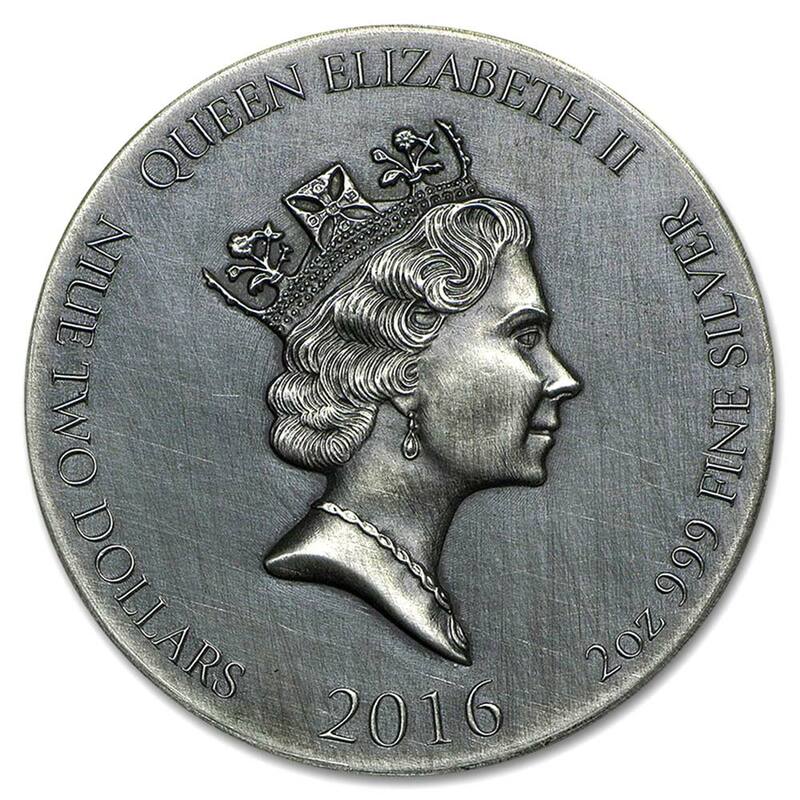 Issued for the Commonwealth island of Niue, the coins have a common obverse. In the centre sits the superb effigy of Queen Elizabeth II by Ralph Maklouf. Surrounding it are inscriptions showing the denomination, issuer, the Queens name, the composition, and the date. The date is the only changing aspect of this face. Mintage for each is limited to 1,500. 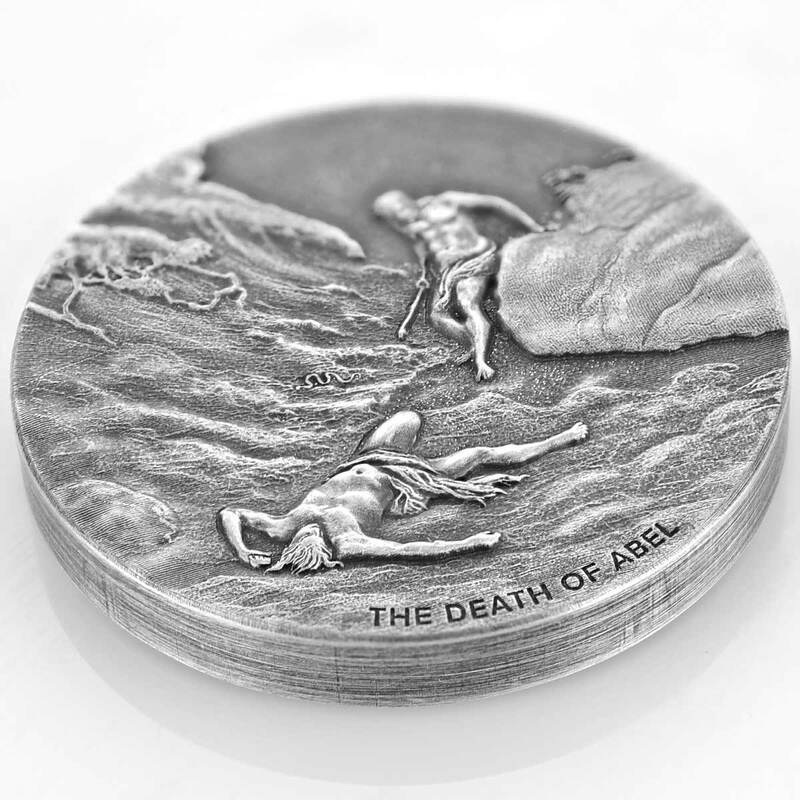 Each coin in this epic series will depict a famous scene from the Bible. Whatever your views on the veracity of the stories within this almost ominpresent book, there’s no denying it’s full of some clever and interesting tales, certainly some hugely popular ones. The book has also inspired some impressive works of art and architecture over the last couple of millenia, amongst them Gustave Doré and his large body of woodcut illustrations. Numbering in the hundreds, Scottsdale will have no problem finding superb illustrations for the sixty coins they have planned. At the time of writing we’ve just hit double figures on the number of releases and there have been some beautiful designs released to date. 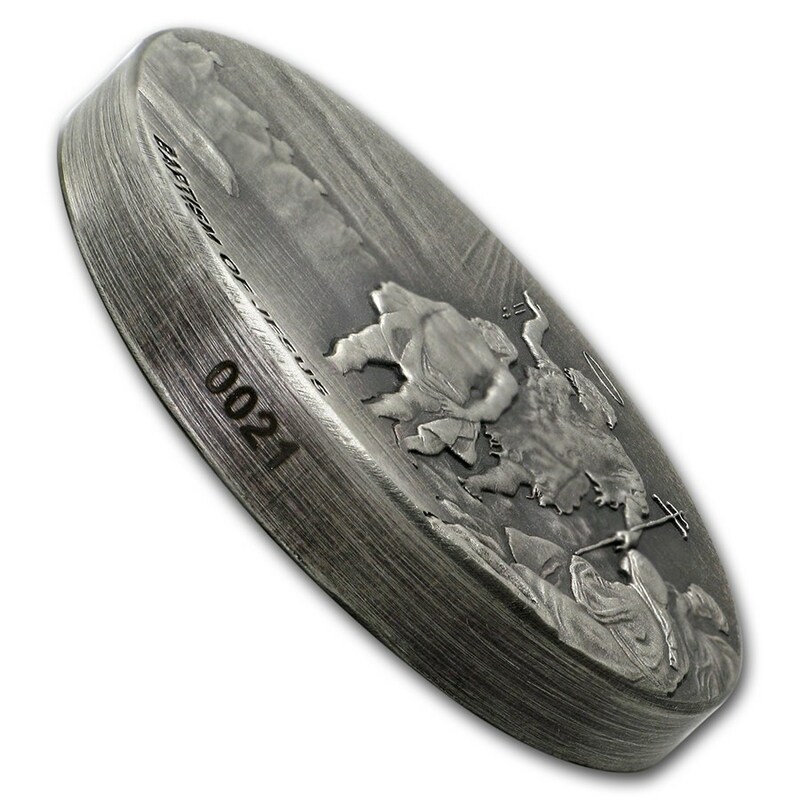 The coins aren’t being released in any particular order, and the designs appear to be a good mix of Dore’s work. 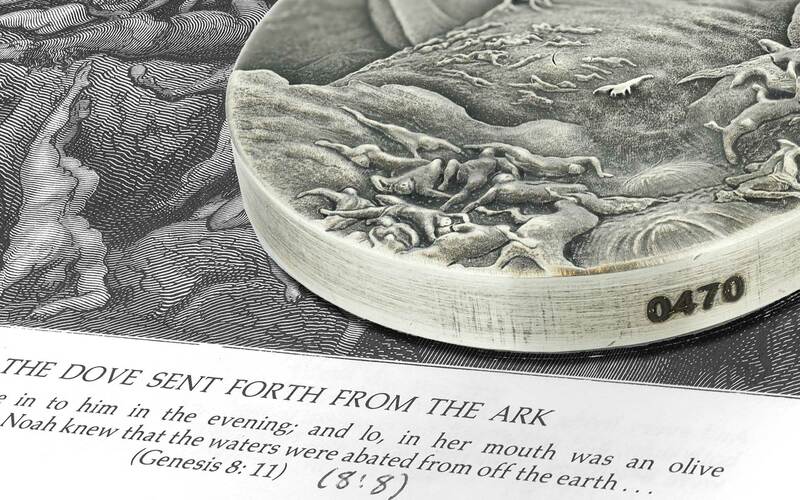 The translation from woodcut to coin is particularly impressive, enhanced by the rimless design and quality of the antique finish. Sculptor D’Almeda Novissimo is responsible for at least one of the designs, probably more. 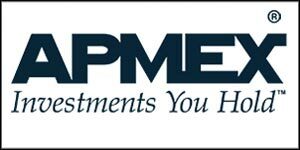 The first sixteen coins have debuted at $179.99 and have all been distributed by APMEX. 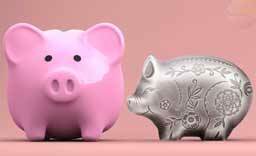 Obviously the spot-price of silver will have an effect on the price going forward, but there are no signs of change at present. An impressive and ambitious undertaking. Not for everyone a series of this scale, there will be collectors aplenty buying these, we’re sure. 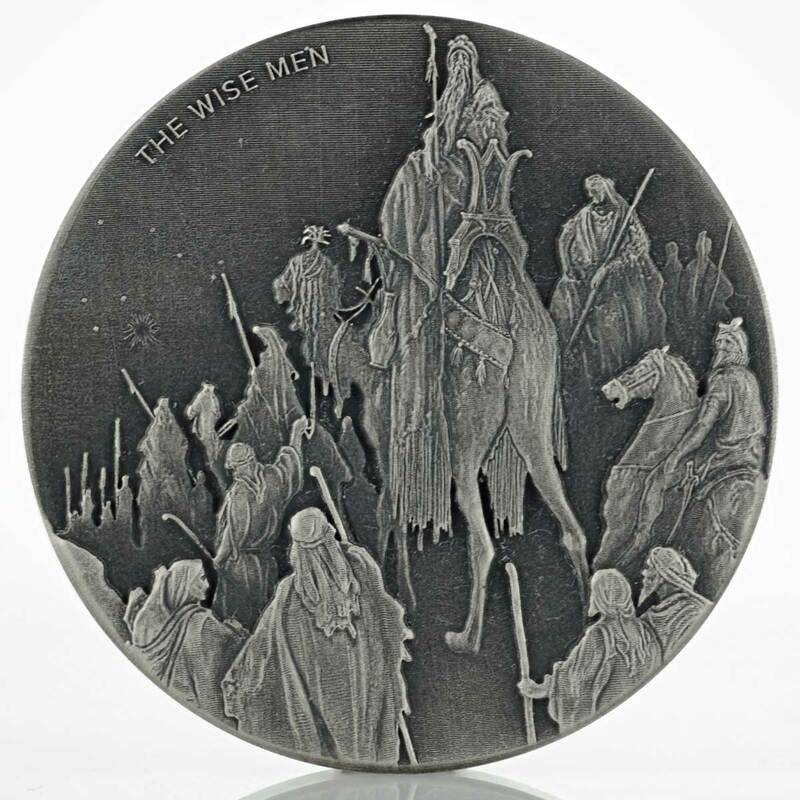 Scottsdale donating a portion of the sale of the Exodus coin to the IJM was a nice touch. Many know the stories from the book of Exodus in the Bible. The most well-known, Moses parting the Red Sea and leading the people of Israel out of Egypt to the Promised Land, is recognized by many as one of the most iconic stories from the Bible. 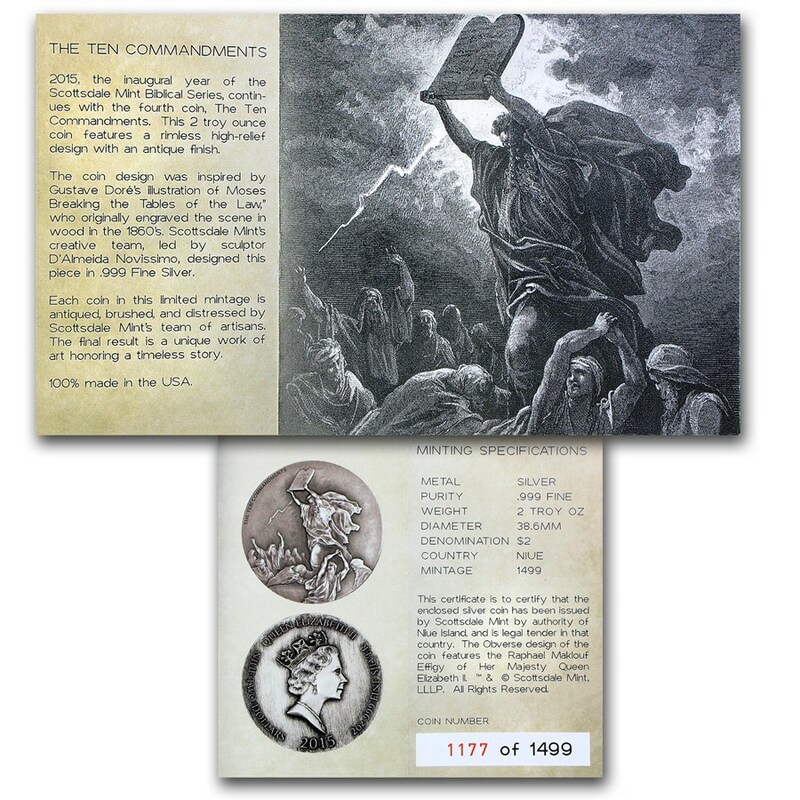 Now this epic event is depicted on a 2 troy ounce Silver legal tender coin from the Scottsdale Mint. 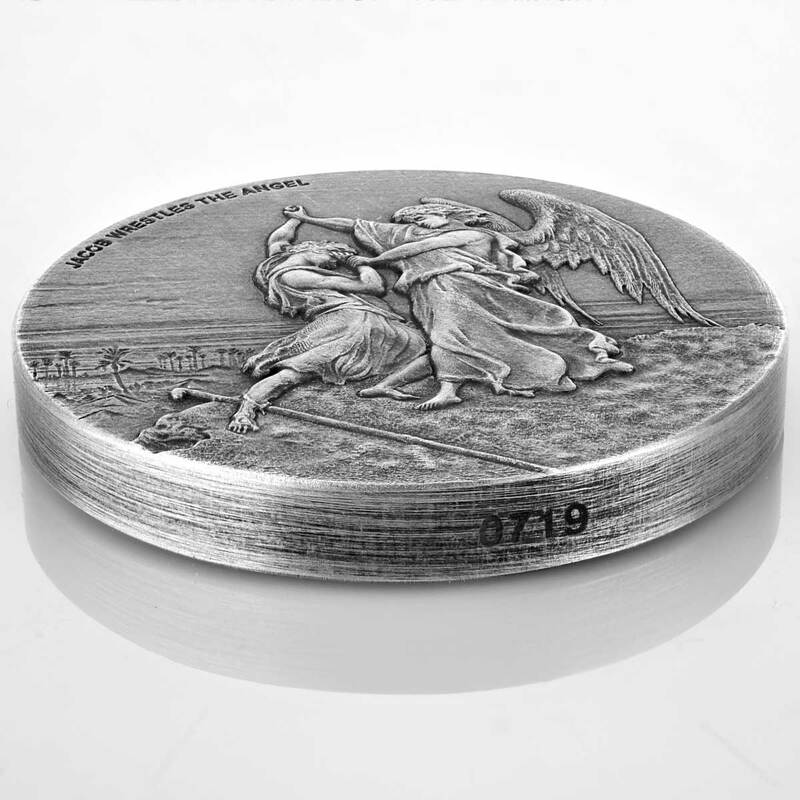 With its rimless high-relief design and antique finish, this Silver coin brought to you by APMEX is truly one of a kind. 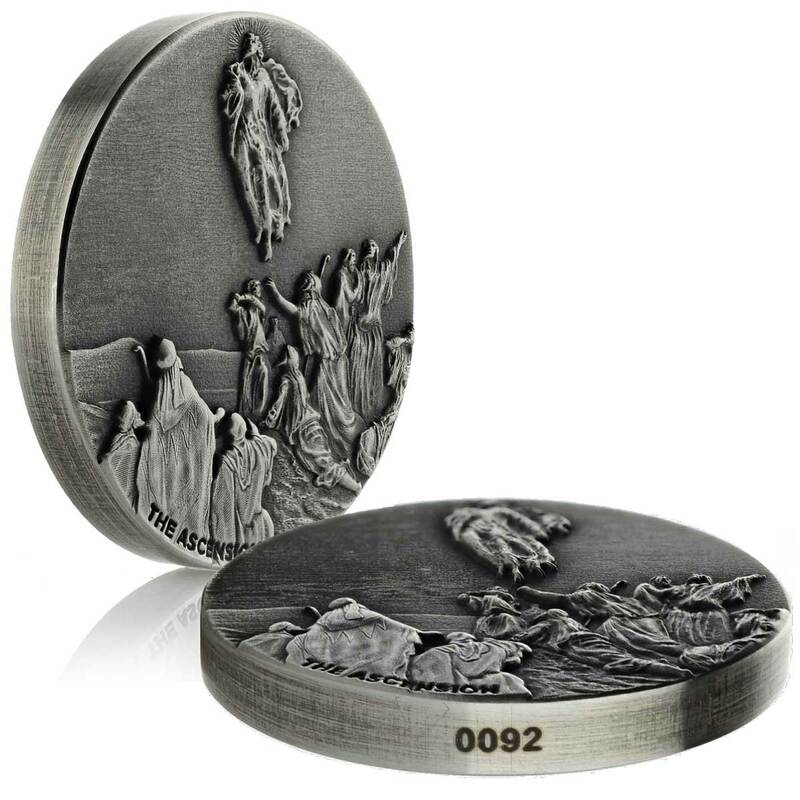 Inspired by an illustration by master French craftsman Gustave Doré, the creative team at the U.S. based Scottsdale Mint designed this .999 fine Silver piece to be a true testament to the gravity of events depicted in the story. 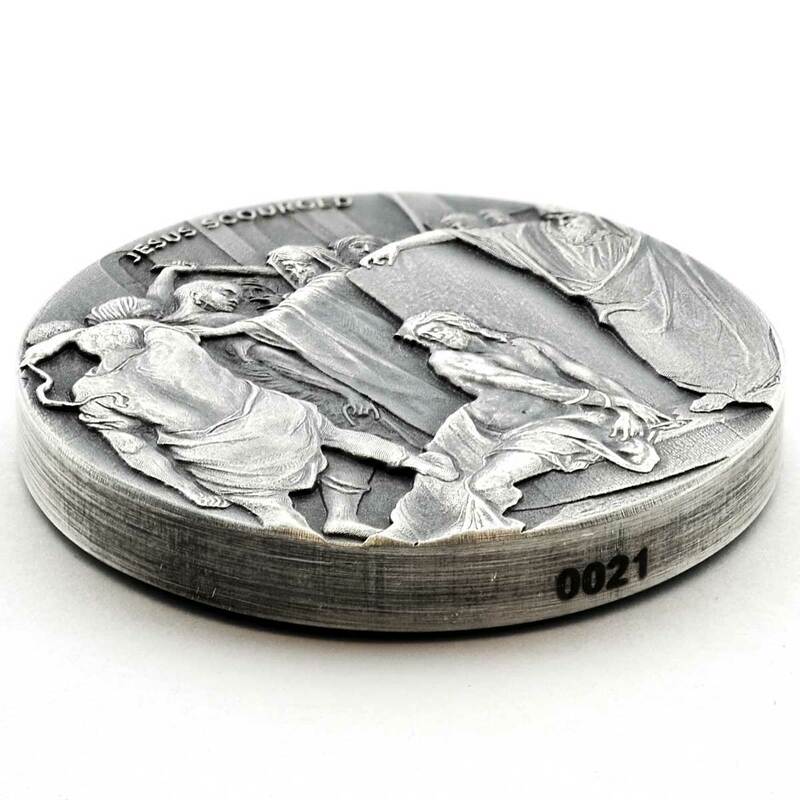 Each coin in this limited mintage is antiqued brushed and hand distressed by a team of specialized artisans. The final result is a unique work of art honoring the timeless story. REVERSE: Inspired by Gustave Doré’s illustration of “The Egyptians Drowned in the Red Sea,” pictured on the certificate of authenticity, showing Egyptians and their horses in chaos as the Red Sea overtakes them. In the distance, Moses and the Israelites stand atop a hill, safe from the water. 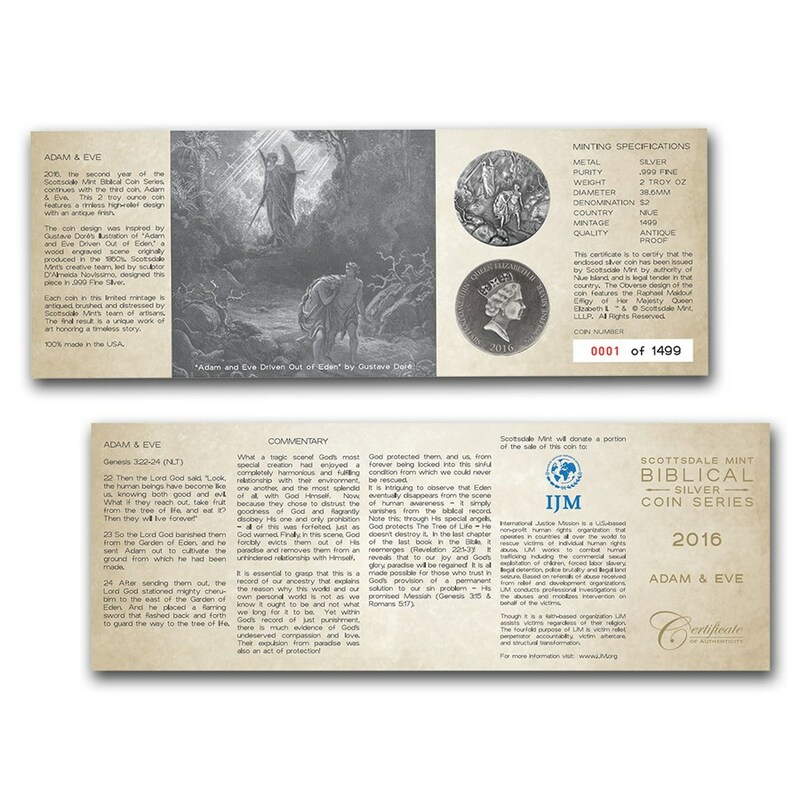 Included certificate of authenticity lists Exodus 14:21-31, which tells the story of the parting of the Red Sea. 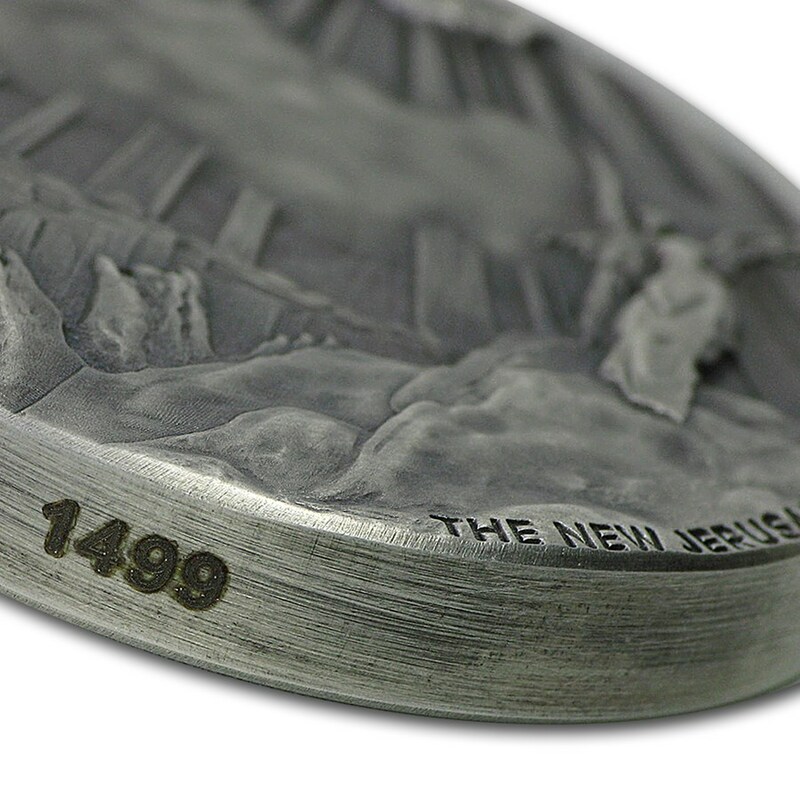 Each certificate includes a serial number that matches the laser etched number on the 2 oz coin. The story of the crucifixion can be found in the book of Matthew in the Bible, depicting in great detail the act of Jesus dying on a cross. The crucifixion is in the beginning of the story of Easter, which follows Jesus from his death to his burial and resurrection. 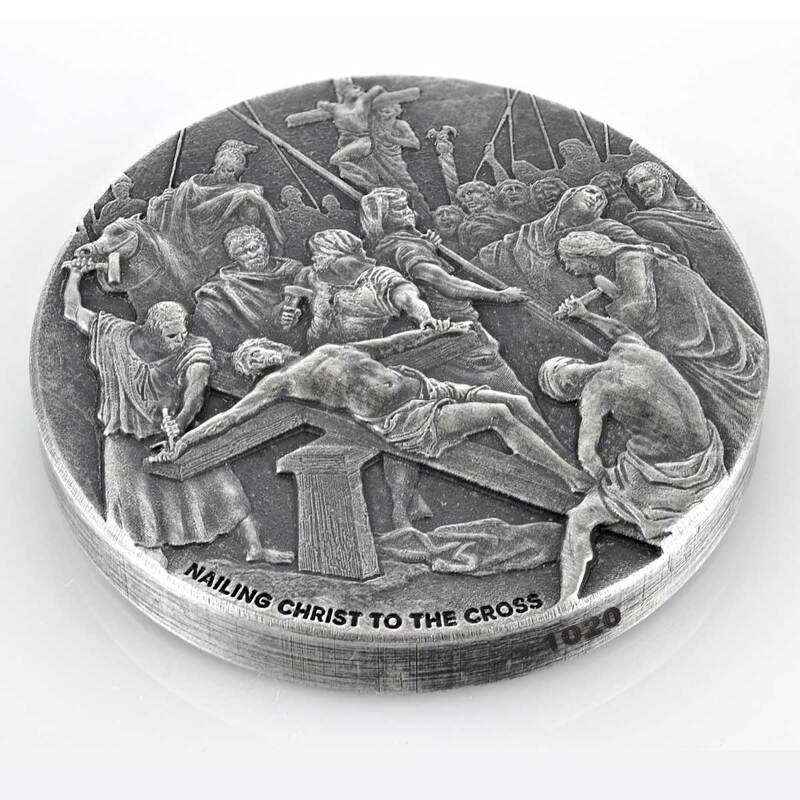 The remarkable event of the crucifixion is depicted on a 2 troy ounce Silver legal tender coin from the Scottsdale Mint, with a limited mintage of 1,499 coins. The Bible tells of darkness falling across the land three hours before Jesus took his final breath during his crucifixion. The coin’s antiqued brushed and hand-distressed finish uniquely displays what can only be imagined as a dark, somber and reflective time. 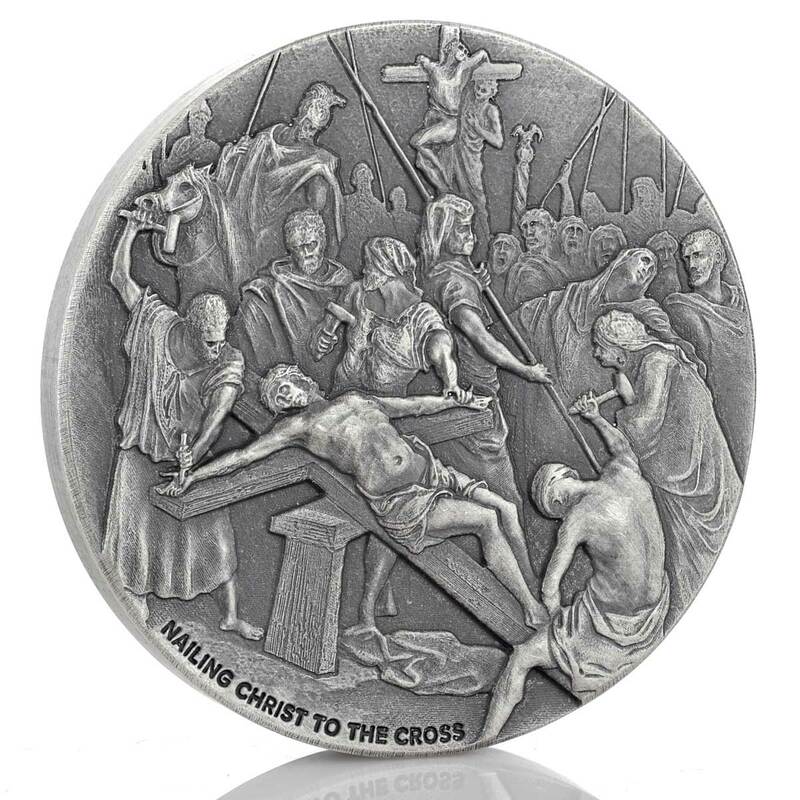 The creative team at the U.S. based Scottsdale Mint, led by sculptor D’Almeida Novissimo, designed this .999 fine Silver piece as a true testament to the events depicted in master French craftsman Gustave Doré’s original 1860s wood carving of the crucifixion. The final result is a unique work of art honoring the timeless story. 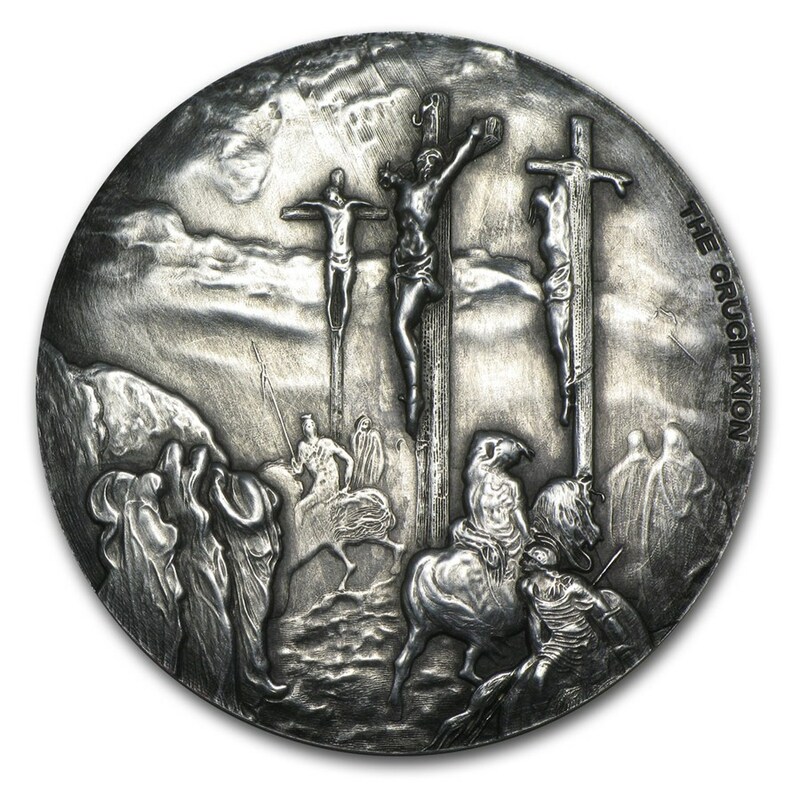 REVERSE: Inspired by Gustave Doré’s illustration of “The Crucifixion,” pictured on the certificate of authenticity, showing Jesus Christ hanging on the cross with the soldiers mocking him and keeping the public in order. 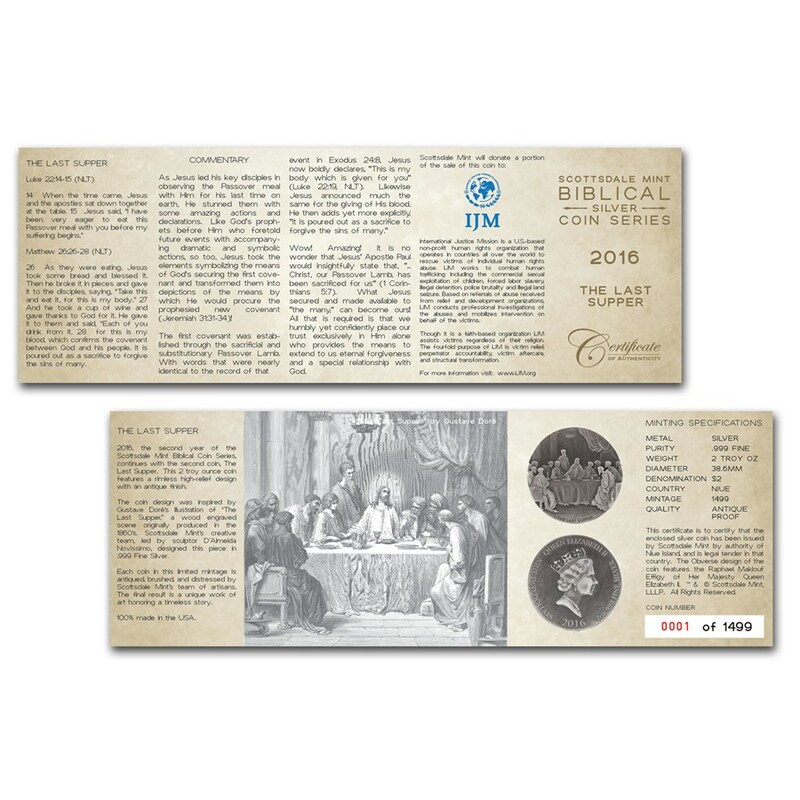 Included certificate of authenticity tells the iconic story of Jesus Christ’s crucifixion. 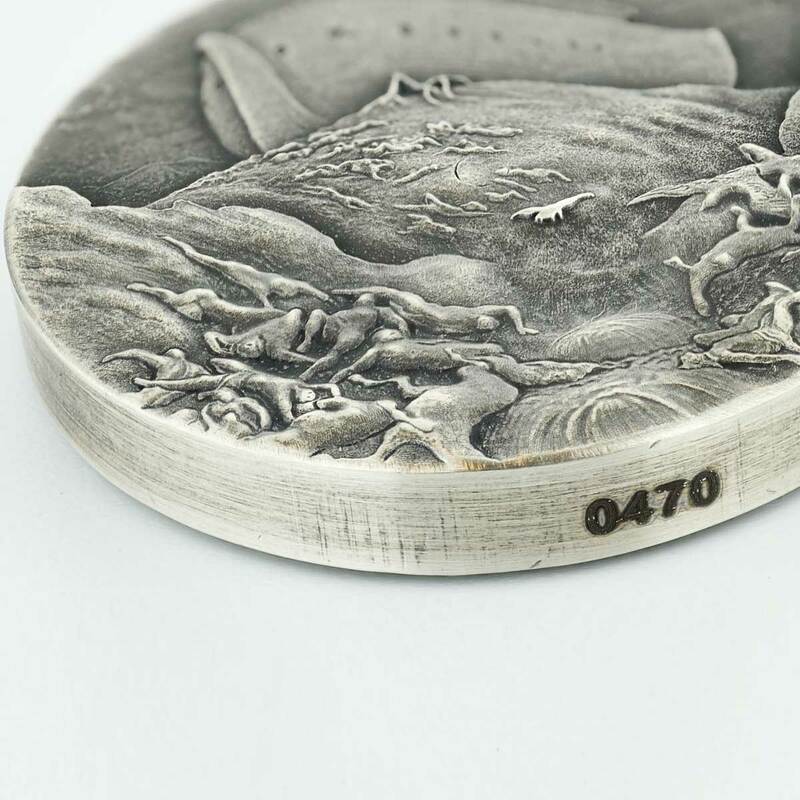 Each certificate includes a serial number that matches the laser etched number on the coin. The Bible tells that David’s true motive in accepting Goliath’s challenge was to show the world the power of God and to restore God’s honor by defeating Goliath. 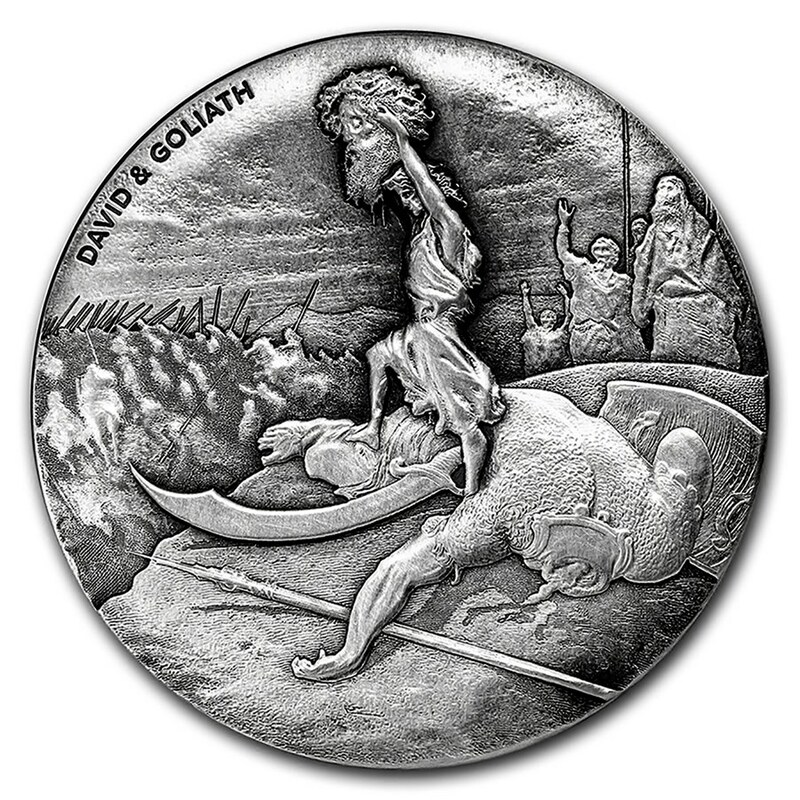 David spoke to Goliath saying “Today the Lord will conquer you, and I will kill you and cut off your head… and the whole world will know that there is a God in Israel!” This scene is depicted on the coin’s antiqued brushed and hand-distressed finish displaying the moment David made good of his word. 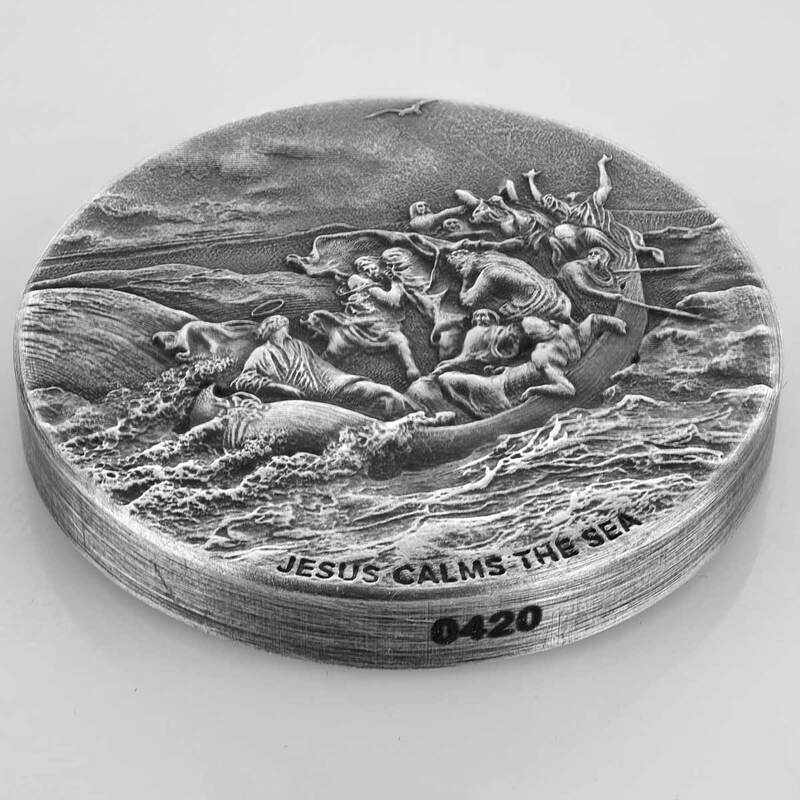 The creative team at the U.S.-based Scottsdale Mint designed this .999 fine Silver piece as a true testament to the events depicted in master French craftsman Gustave Doré’s original 1860s wood carving. The final result is a unique work of art honoring this timeless story. 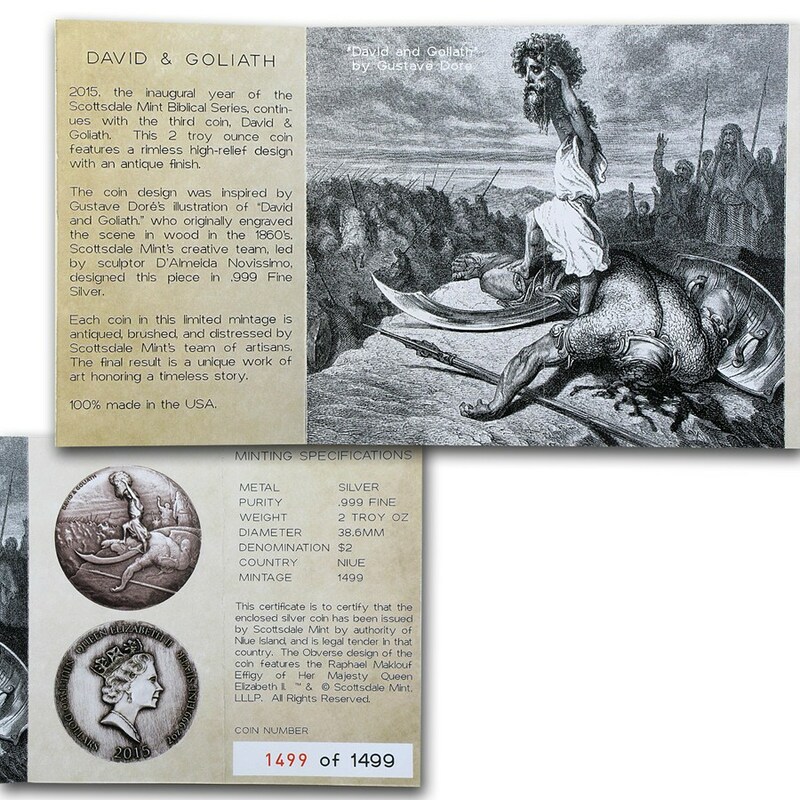 REVERSE: Inspired by Gustave Doré’s illustration of “David & Goliath” pictured on the certificate of authenticity, showing David holding the head of Goliath in front of his army showing David’s inspiring victory. 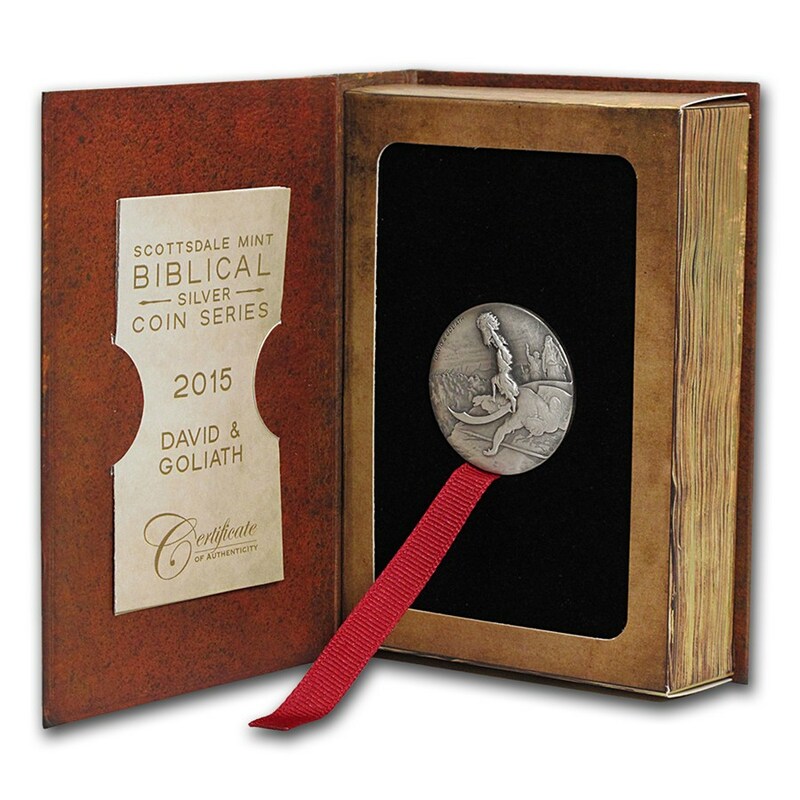 Included certificate of authenticity tells the iconic story of David & Goliath. Each certificate includes a serial number that matches the laser etched number on the coin. 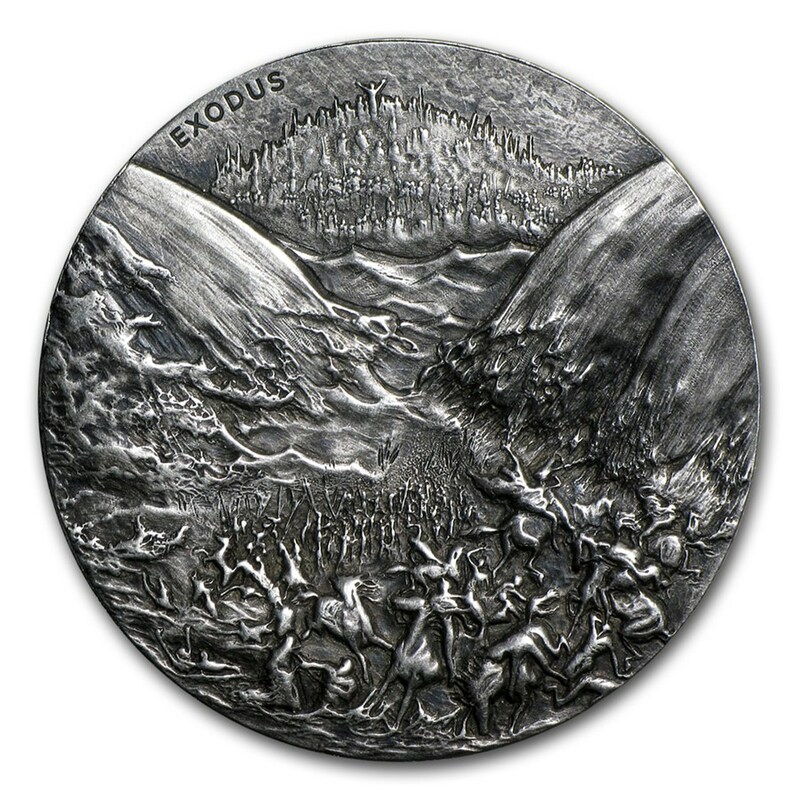 This 2 oz Silver coin depicts the powerful image from Exodus 32:19 showing the moment just before Moses breaks the tablet of commandments after coming down from Mount Sinai and seeing his people flagrantly violating the Ten Commandments God had just bestowed on them. The smashing of the tablets symbolized these people had willfully broken God’s designed relationship of mutual faithfulness and that without His further deserved mercy, they were doomed. The coin features a rimless, high-relief design with an antique finish. 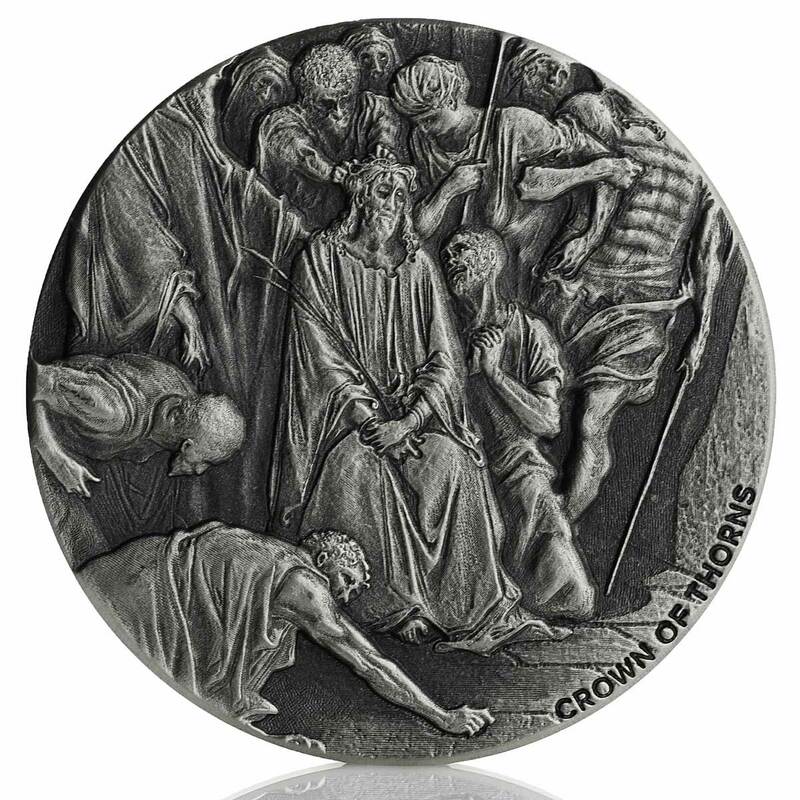 Inspired by master French craftsman Gustave Doré’s original 1860s wood carving of “Moses Breaking the Tables of the Law,” the creative team at the U.S.-based Scottsdale Mint designed this .999 fine Silver piece with intricate detail. 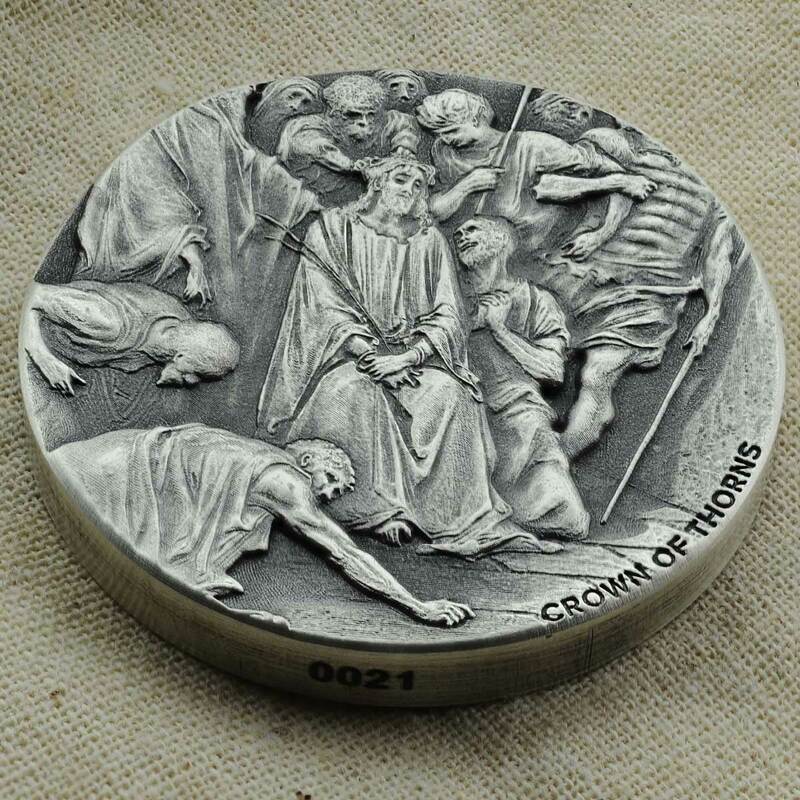 This coin, and others in the series, show the darker side of the stories from the Bible and try to evoke emotion regarding each scene depicted. 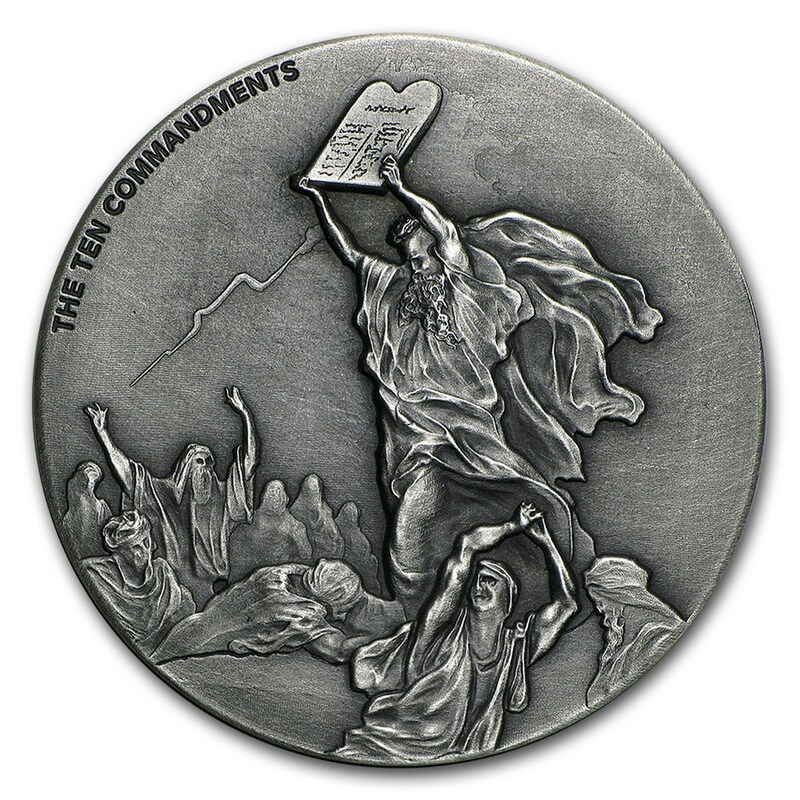 REVERSE: Inspired by Gustave Doré’s illustration of ” Moses Breaking the Tables of the Law ” showing Moses throwing the Ten Commandments at the foot of the mountain after seeing his people flagrantly violating the Ten Commandments God had just bestowed on them. Included certificate of authenticity lists Exodus 32:19, which tells the story of Moses breaking the Ten Commandments at the foot of Mount Sinai. Each certificate includes a serial number that matches the laser etched number on the coin. Gustave Doré depicted this very image in the 1860s with his wood carving of the “The Vision of Death.” The artwork features a majestic horse coming from the heavens carrying a fearsome figure cloaked in a flowing robe, followed by a host of demonic creatures. 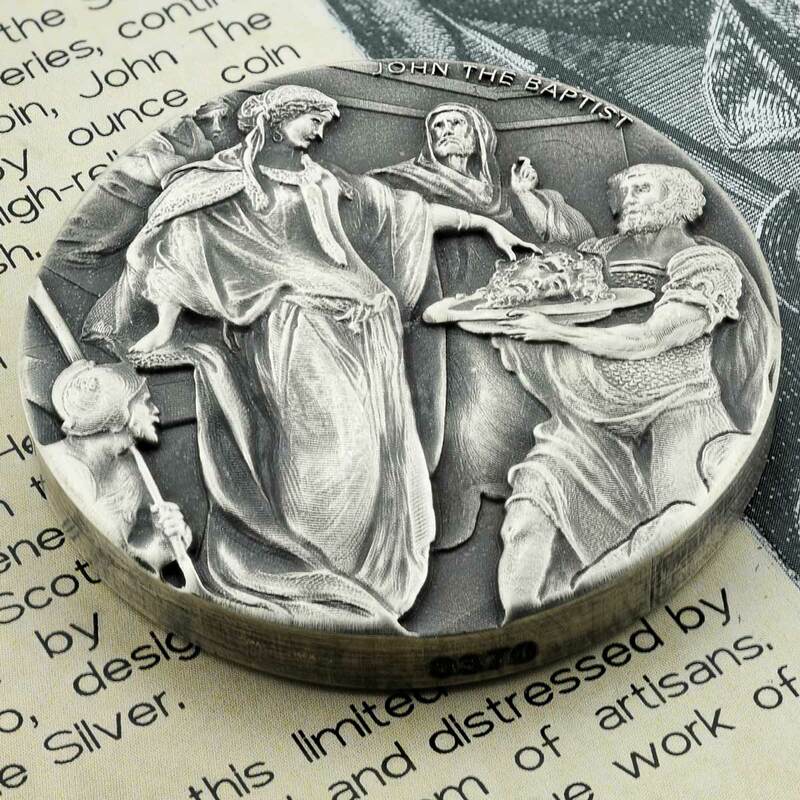 Utilizing skilled craftsmen and great attention to detail, the creative team at the U.S.-based Scottsdale Mint designed this .999 fine Silver piece to reflect the image on Doré’s original piece of artwork. 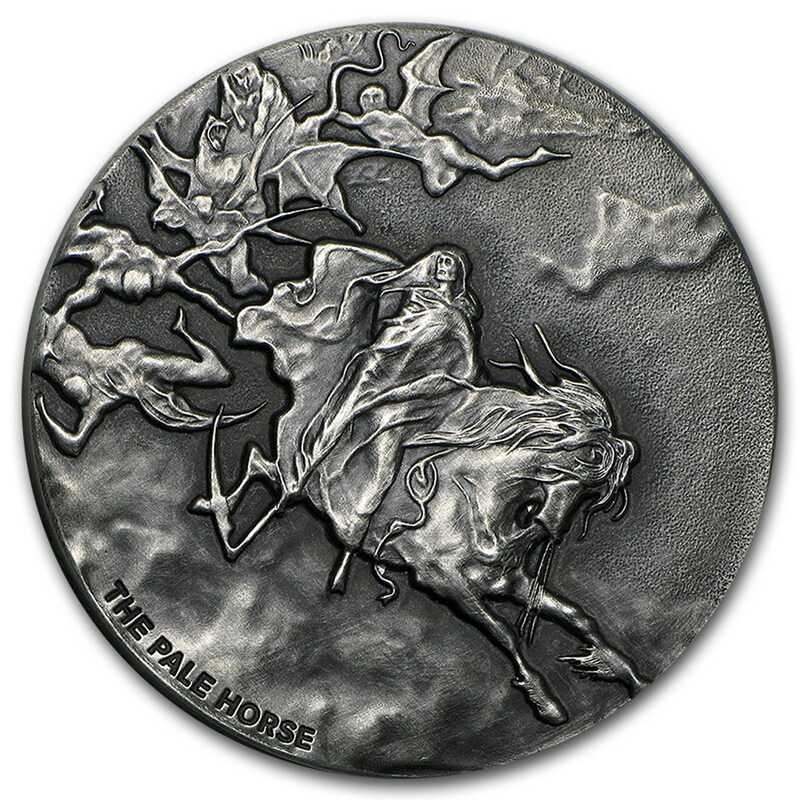 REVERSE: Inspired by Gustave Doré’s illustration of “The Vision of Death” showing the figure of Death garbed in a flowing robe, holding his sickle while riding through the clouds on a pale horse with winged demonic creatures in his wake. 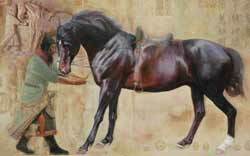 Included certificate of authenticity lists Revelations 6:7-8, which describes Death as the fourth horseman of the apocalypse and his power over 1/4 of the earth that is to be destroyed by sword, famine, plague and the wild beasts. According to Revelation 21 of the Christian Bible, John is taken to a mountain to look upon the city, prepared by God for those washed in the blood of the lamb. John describes its gates, vastness, precious stones and lack of sun and moon. For who needs a sun or moon when God casts his own light? 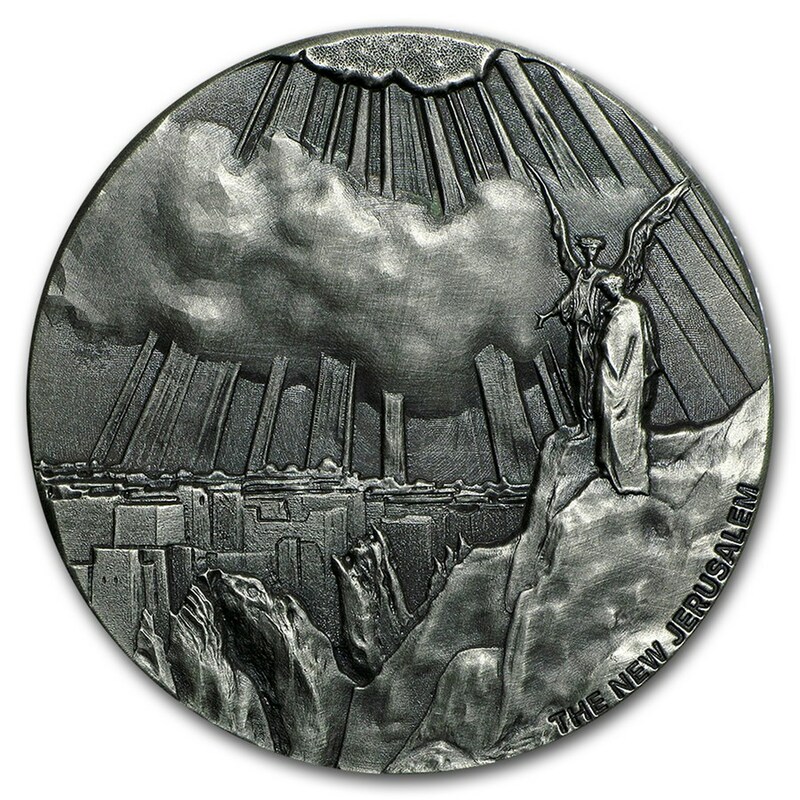 The holy city, depicted in Gustave Doré’s 1865 engraving “The New Jerusalem,” is the inspiration for the U.S.-based Scottsdale Mint’s latest Silver coin. 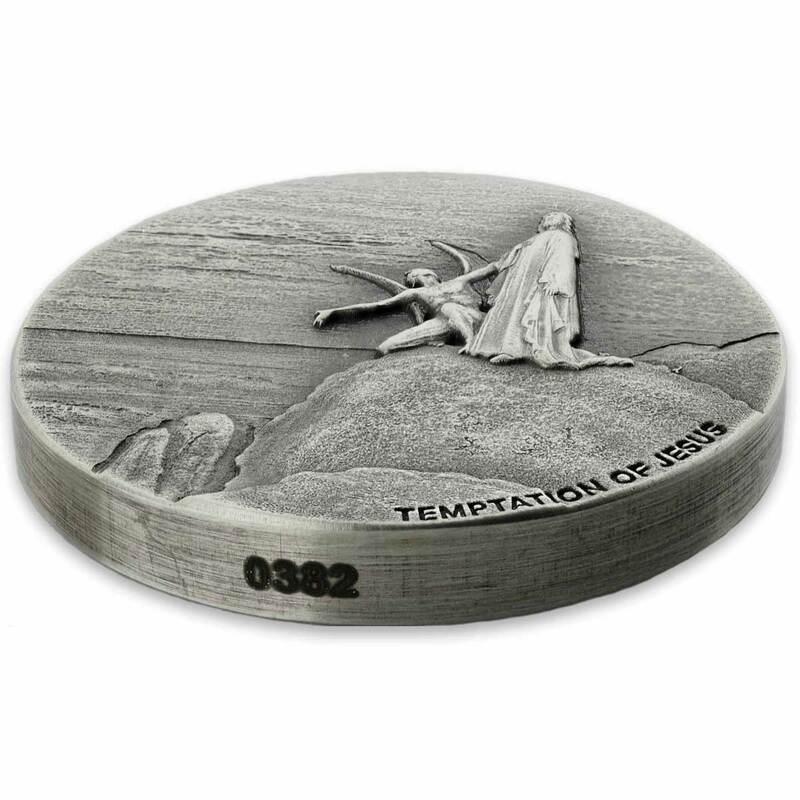 With deliberate detail, the coin features John atop the mountain with an angel. Invoking fear, majesty and awe, the holy city offers a new home and hope to believers. 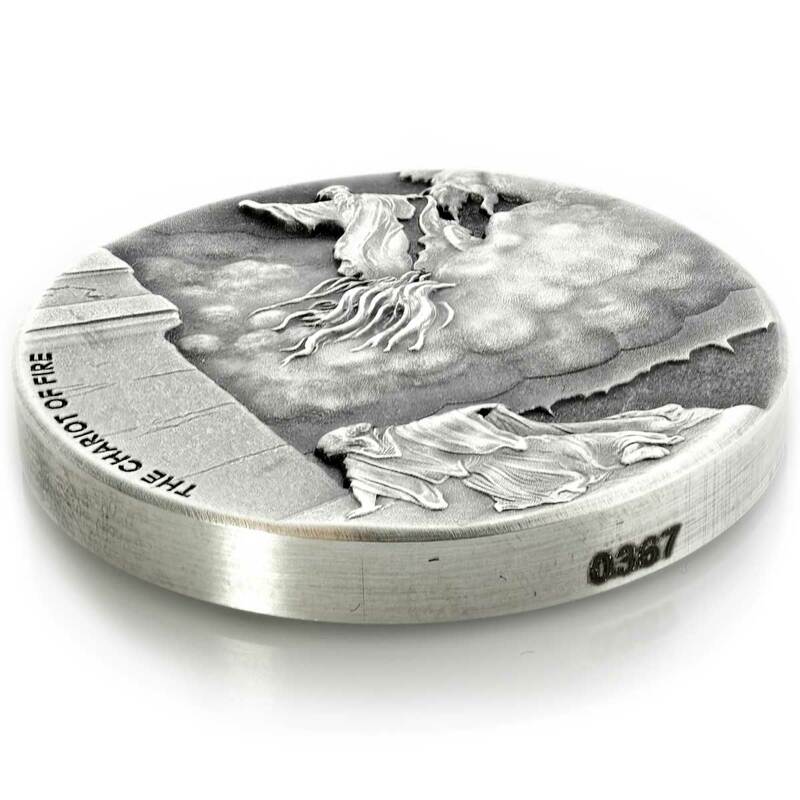 REVERSE: Inspired by Gustave Doré’s illustration of “The New Jerusalem” depicting an angel showing John the new holy city, which is described as the ultimate Promised Land. Included certificate of authenticity lists Revelations 21:1-4, in which John describes the new holy city as shown to him by God. 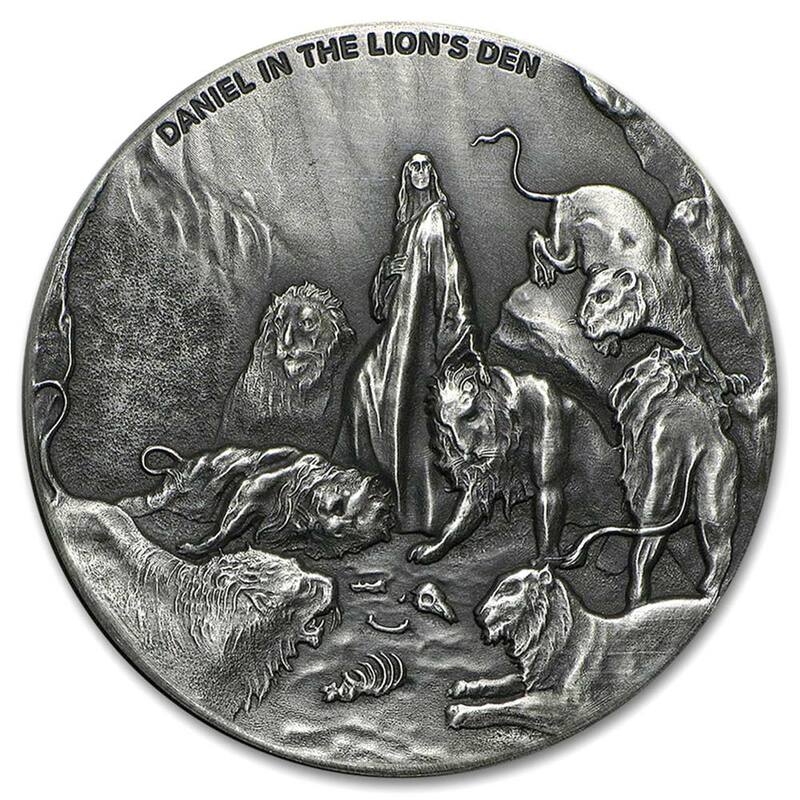 The first of a six-coin series released in 2016, Daniel in the Lion’s Den depicts God’s faithful servant Daniel surviving a night with bloodthirsty lions engraved in 2 oz of .999 fine Silver. As revealed in chapter 6 of Daniel in the Christian Bible, jealous men observed Daniel in an illegal act — prayer. Obliged to follow the law and punish any man petitioning any God or man beside the throne, the king guiltily had Daniel cast into the lion’s den. When the king returned the next morning, he found Daniel miraculously unharmed — an angel of God had protected him. 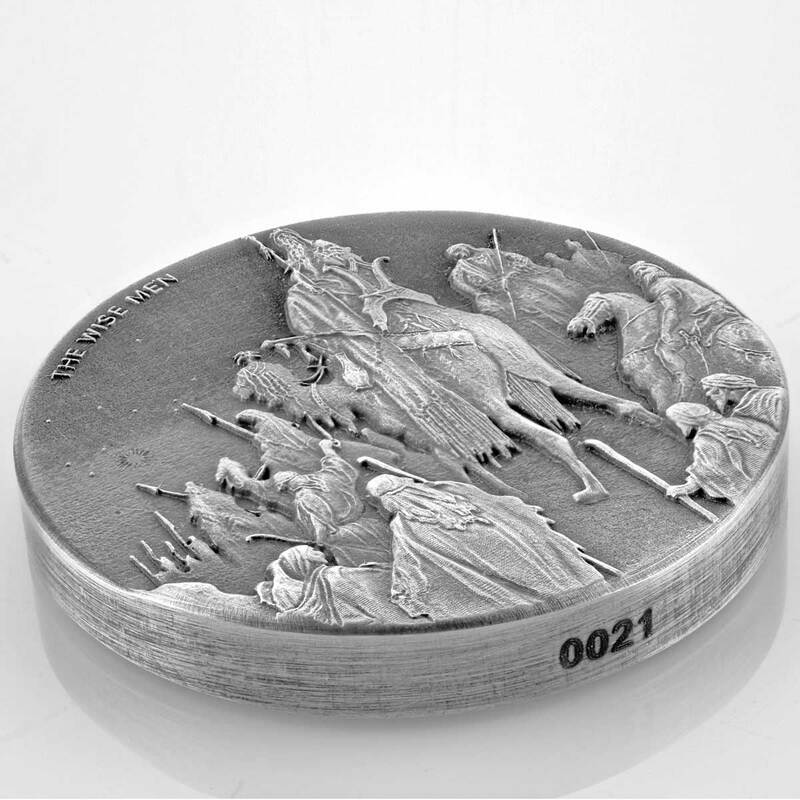 The scene, as depicted in Gustave Doré’s 1860s wood engraving, “Daniel in the Den of Lions,” is the inspiration for the U.S.-based Scottsdale Mint’s latest Silver coin. With deliberate detail, the coin features Daniel safe among several fierce but peaceful lions. 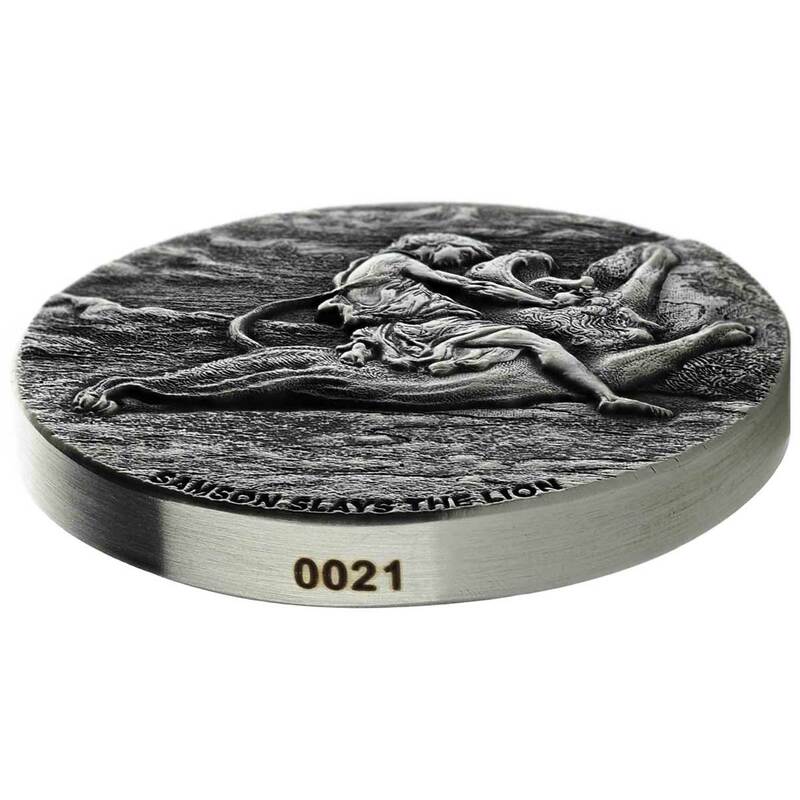 REVERSE: Inspired by Gustave Doré’s illustration of “Daniel in the Lion’s Den” depicting Daniel standing in the middle of the den with lions and skeletons surrounding him. Included certificate of authenticity lists Daniel 6:22-24, in which Daniel describes how God sent his angel to shut the lion’s mouths so they would not hurt him. 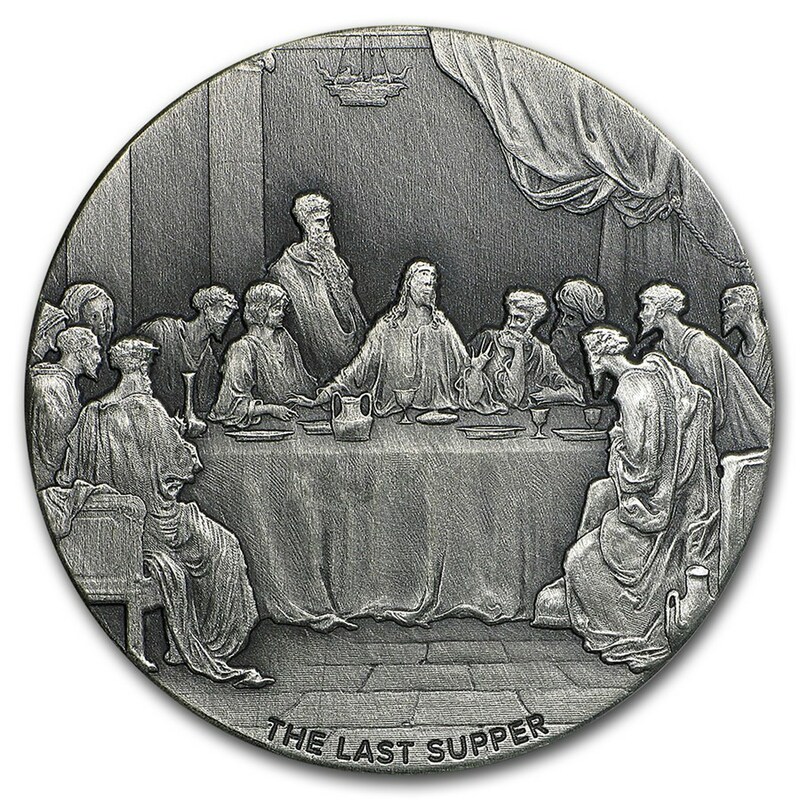 REVERSE: Inspired by Gustave Doré’s illustration of “The Last Supper” depicting Jesus Christ and his twelve disciples sitting at a table during Jesus’ last Passover meal. Adam and Eve, according to the creation myth of the Abrahamic religions, were the first man and woman and the ancestors of all humans. The story of Adam and Eve is central to the belief that God created human beings to live in a paradise on earth, although they fell away from that state and formed the present world full of suffering and injustice. God fashions Adam from dust and places him in the Garden of Eden. Adam is told that he can till the ground and eat freely of all the trees in the garden, except for a tree of the knowledge of good and evil. Subsequently, Eve is created from one of Adam’s ribs to be Adam’s companion. They are innocent and unashamed about their nakedness. However, a serpent deceives Eve into eating fruit from the forbidden tree, and she gives some of the fruit to Adam. These acts give them additional knowledge, but it gives them the ability to conjure negative and destructive concepts such as shame and evil. God later curses the serpent and the ground. God prophetically tells the woman and the man what will be the consequences of their sin of disobeying God. Then he banishes ‘the human’ from the Garden of Eden. 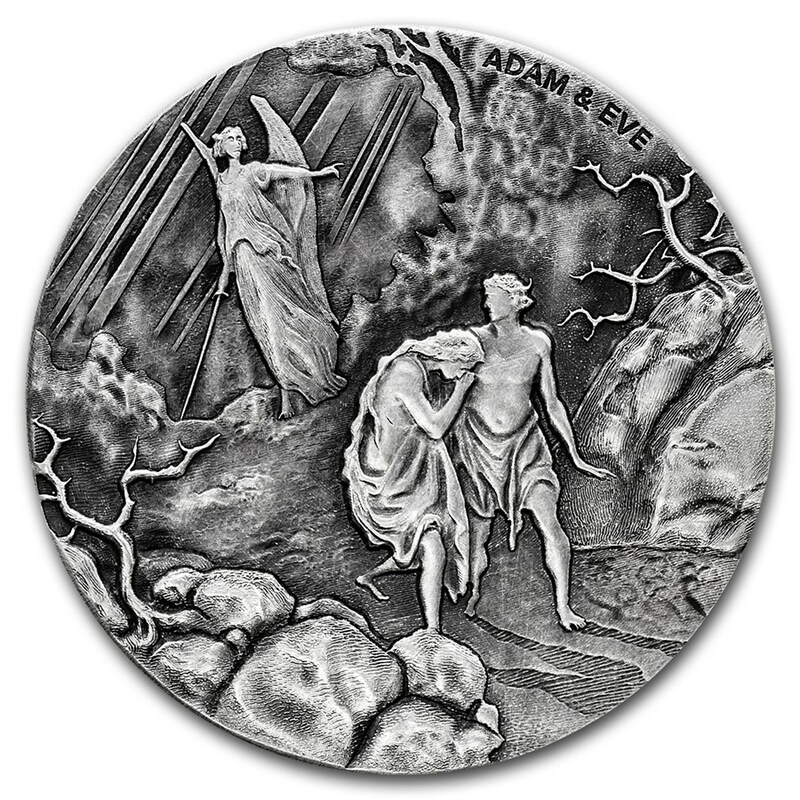 REVERSE: Inspired by Gustave Doré’s illustration of “Adam and Eve Driven out of Eden” depicting an angel, with sword in right hand, pointing the way out of the Garden of Eden as Adam and Eve embark into the new wilderness. 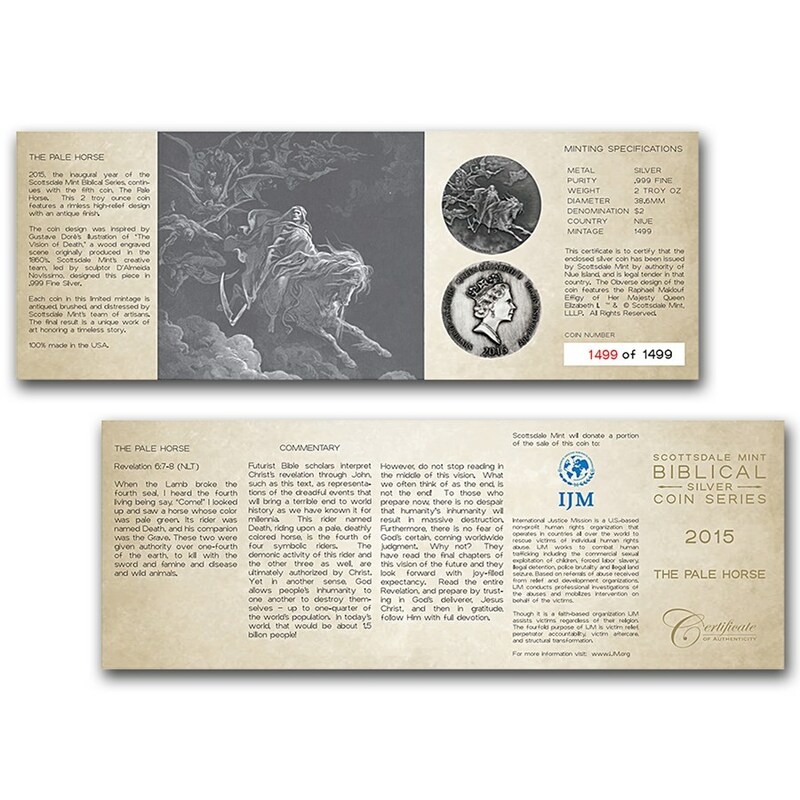 Included certificate of authenticity lists Genesis 3:22-24, in which God banishes Adam and Eve from the Garden of Eden. 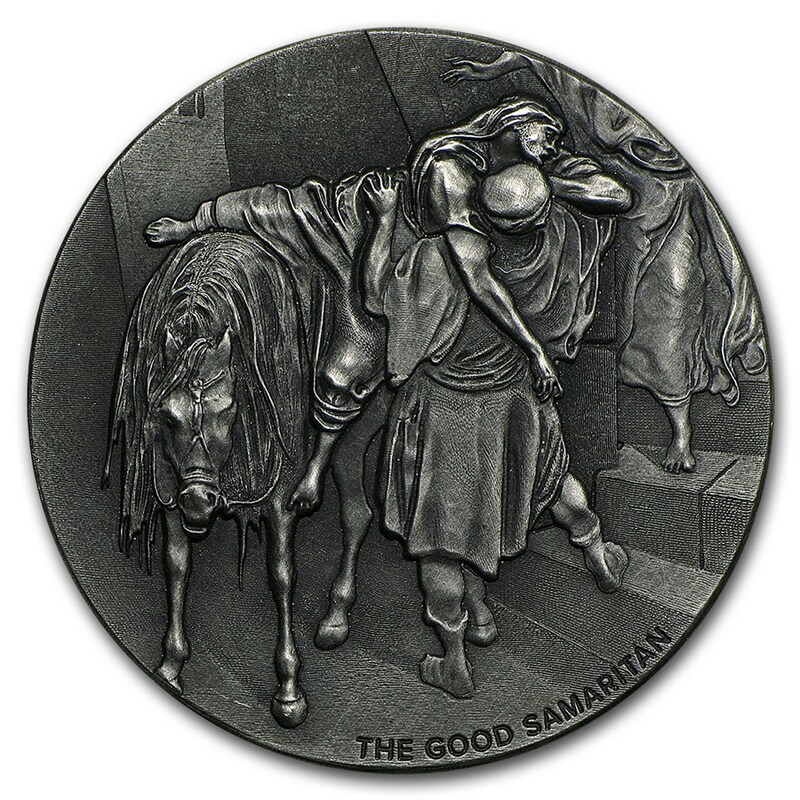 REVERSE: Inspired by Gustave Doré’s illustration of “Arrival of the Good Samaritan at the Inn” depicting the good Samaritan aiding the injured man off the donkey at the inn.new wilderness. 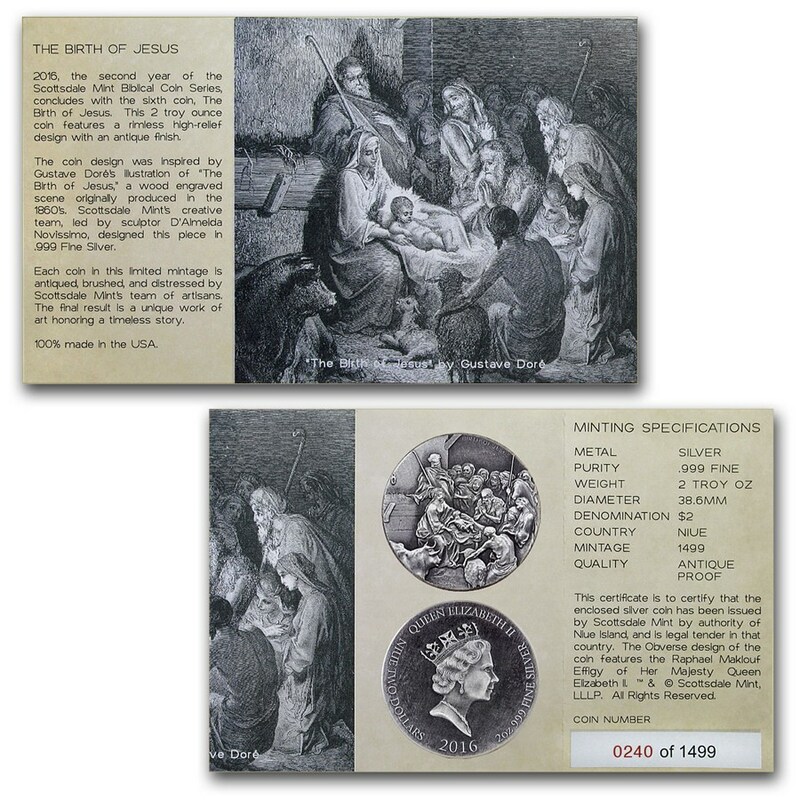 Included on the certificate is an image of Gustave Doré’s “Arrival of the Good Samaritan at the Inn”, showing how accurately Scottsdale Mint’s creative team recreated the original artwork for this coin series. The Vision of the Valley of Dry Bones (or The Valley of Dry Bones or The Vision of Dry Bones) is a prophecy in chapter 37 of the Book of Ezekiel. 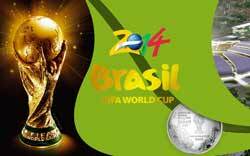 The chapter details a vision revealed to the prophet Ezekiel, conveying a dream-like realistic-naturalistic depiction. In his vision the prophet sees himself standing in the valley full of dry human bones. He is commanded to carry a prophecy. Before him the bones connect into human figures, then the bones become covered with tendon tissues, flesh and skin. Then God reveals the bones to the prophet as the People of Israel in exile and commands the Prophet to carry another prophecy in order to revitalize these human figures, to resurrect them and to bring them to the Land of Israel. 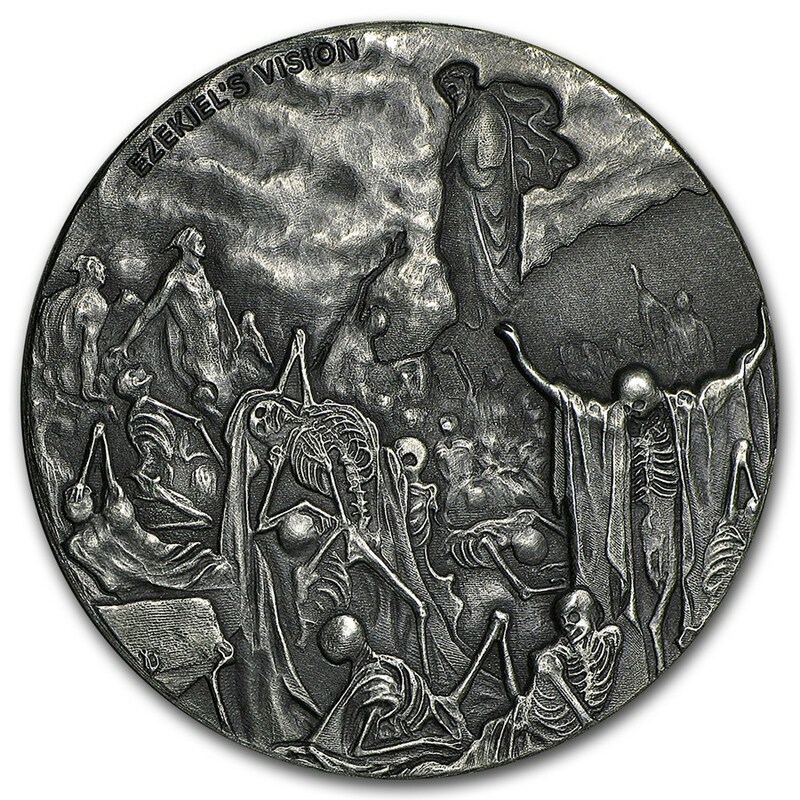 REVERSE: Inspired by Gustave Doré’s illustration of “The Vision of the Valley of Dry Bones” depicting Ezekiel overlooking a field of skeletons and corpses coming back to life. 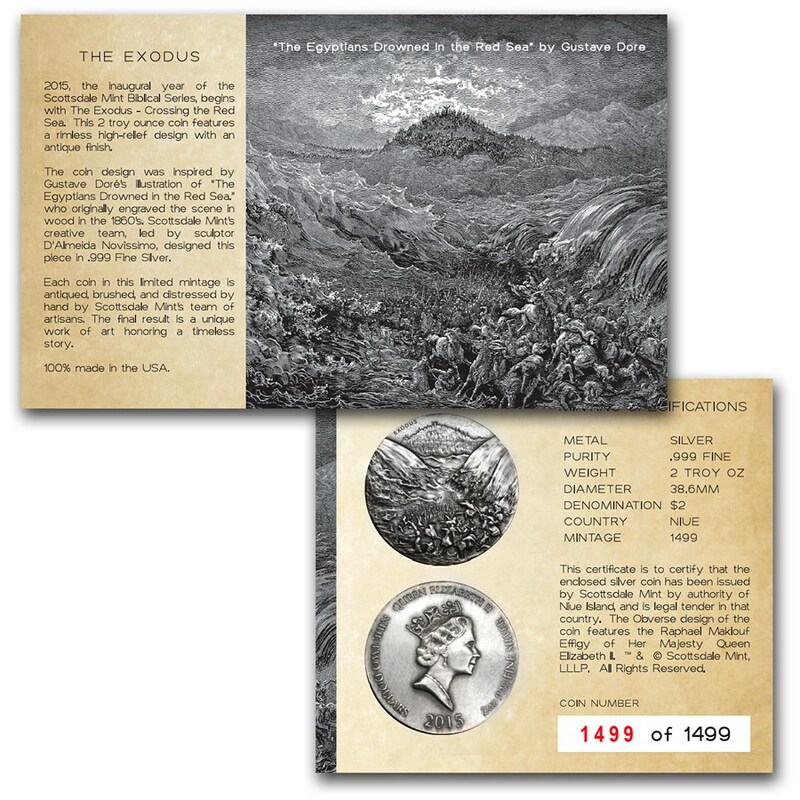 Included on the certificate is an image of Gustave Doré’s “The Vision of the Valley of Dry Bones”, showing how accurately Scottsdale Mint’s creative team recreated the original artwork for this coin series. The nativity of Jesus or birth of Jesus is described in the gospels of Luke and Matthew. The two accounts agree that Jesus was born in Bethlehem in the time of Herod the Great to a betrothed virgin whose name was Mary. In Christian theology the nativity marks the incarnation of Jesus as the second Adam, in fulfillment of the divine will of God, undoing the damage caused by the fall of the first man, Adam. The artistic depiction of the nativity has been an important subject for Christian artists since the 4th century. Since the 13th century, the nativity scene has emphasized the humility of Jesus and promoted a more tender image of him, as a major turning point from the early “Lord and Master” image, which has had an effect on the basic approaches of Christian pastoral ministry. The nativity plays a major role in the Christian liturgical year. Christian congregations of the Western tradition begin observing the season of Advent four Sundays before Christmas, the traditional feast-day of his birth, which falls on December 25. Christians of the Eastern Orthodox Church observe a similar season called the “Nativity Fast” during the forty days leading up to Christmas, which for them falls on January 7 as a result of Orthodox churches continuing to follow the Julian calendar, rather than the modern day Gregorian calendar. 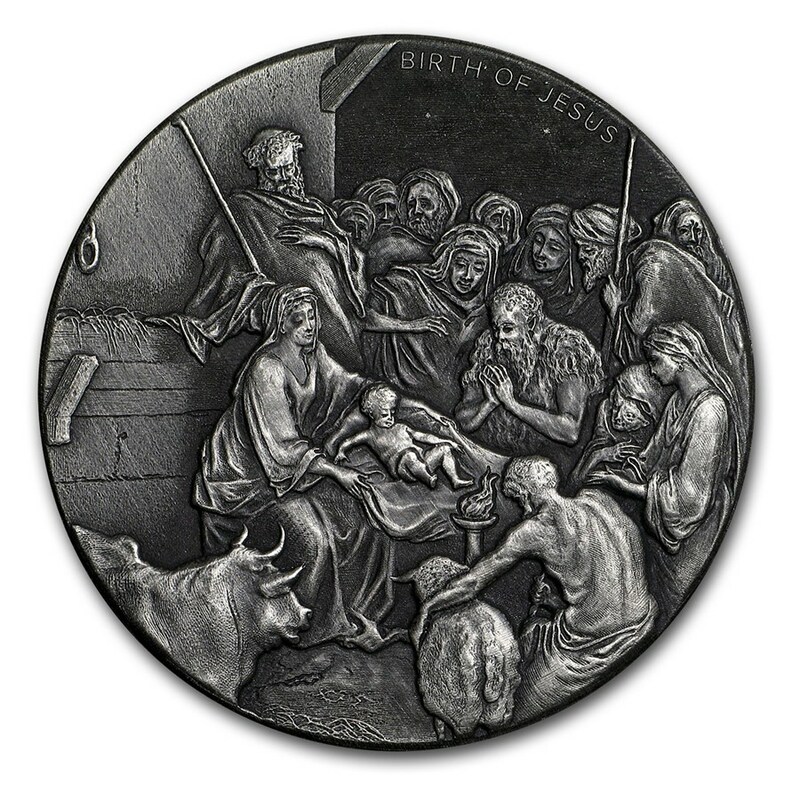 REVERSE: Inspired by Gustave Doré’s illustration of “The Nativity” depicting baby Jesus with Mary and Joseph surrounded by shepherds and the animals in the stables. The baptism of Jesus marks the beginning of his public ministry. This event is described in the gospels of Matthew, Mark and Luke. John’s gospel does not directly describe Jesus’ baptism. 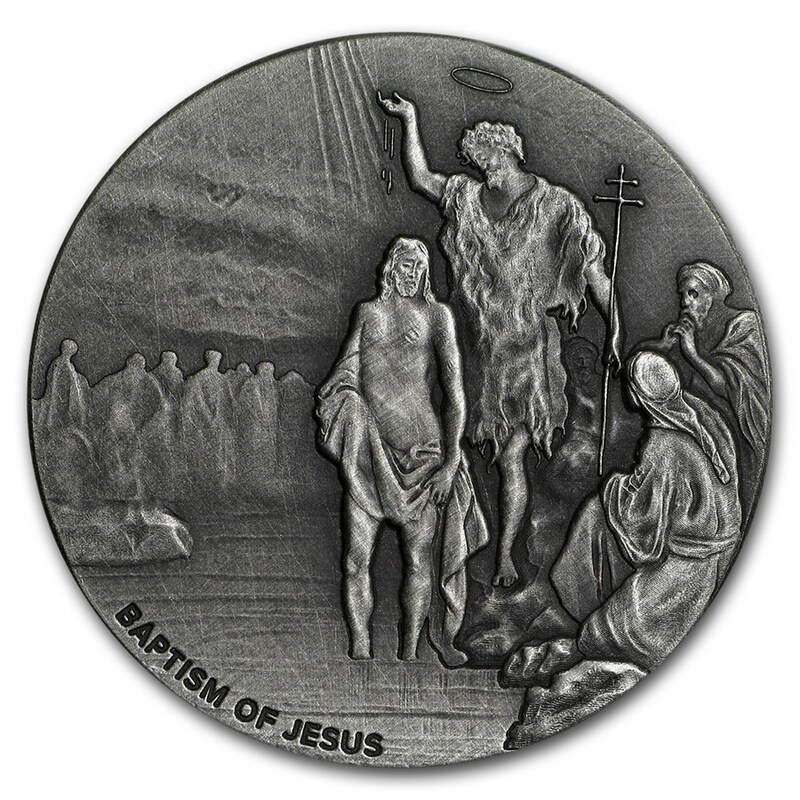 Most modern theologians view the baptism of Jesus by John the Baptist as a historical event to which a high degree of certainty can be assigned. Along with the crucifixion of Jesus, most biblical scholars view it as one of the two historically certain facts about him, and often use it as the starting point for the study of the historical Jesus. The baptism is one of the five major milestones in the gospel narrative of the life of Jesus, the others being the Transfiguration, Crucifixion, Resurrection, and Ascension. 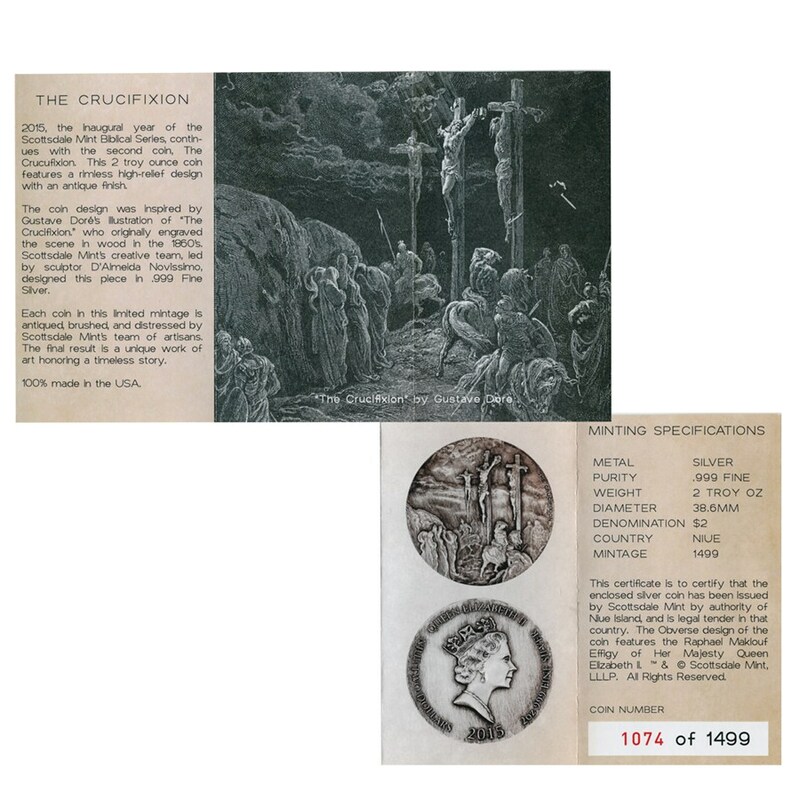 Most Christian denominations view the baptism of Jesus as an important event and a basis for the Christian rite of baptism (see also Acts 19:1-7). In Eastern Christianity, Jesus’ baptism is commemorated on 6 January (the Julian calendar date of which which corresponds to 19 January on the Gregorian calendar), the feast of Epiphany. In the Roman Catholic Church, the Anglican Communion, the Lutheran Churches and some other Western denominations, it is recalled on a day within the following week, the feast of the baptism of the Lord. 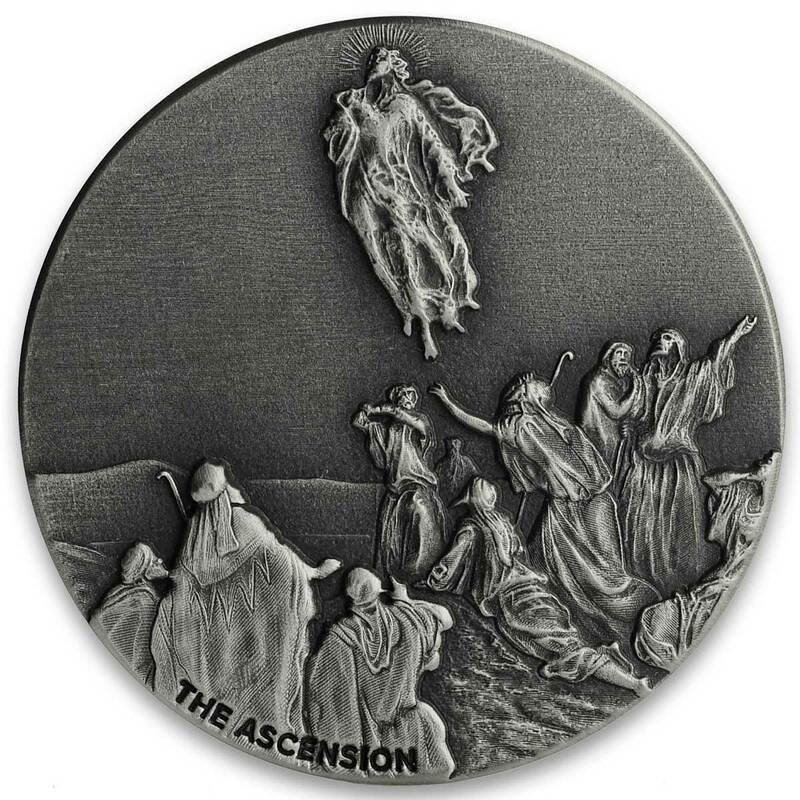 In Roman Catholicism, the baptism of Jesus is one of the Luminous Mysteries sometimes added to the Rosary. It is a Trinitarian feast in the Eastern Orthodox Churches. The crucifixion of Jesus occurred in 1st century Judea, most probably between the years 30 and 33 AD. Jesus’ crucifixion is described in the four canonical gospels, referred to in the New Testament epistles, attested to by other ancient sources, and is established as a historical event confirmed by non-Christian sources, although among historians there is no consensus on the precise details of what exactly occurred. According to the canonical gospels, Jesus, the Christ, was arrested, tried, and sentenced by Pontius Pilate to be scourged, and finally crucified by the Romans. Jesus was stripped of his clothing and offered wine mixed with gall to drink, before being crucified. He was then hung between two convicted thieves and according to Mark’s Gospel, died some six hours later. During this time, the soldiers affixed a sign to the top of the cross stating “Jesus of Nazareth, King of the Jews” in three languages. They then divided his garments among them, but cast lots for his seamless robe. After Jesus’ death they pierced his side with a spear to be certain that he had died. The Bible describes seven statements that Jesus made while he was on the cross, as well as several supernatural events that occurred. Collectively referred to as the Passion, Jesus’ suffering and redemptive death by crucifixion are the central aspects of Christian theology concerning the doctrines of salvation and atonement. Included certificate of authenticity lists John 19:18, “Where they crucified him, and two other with him, on either side one, and Jesus in the midst. The account of Jacob wrestling with the angel is found in Genesis 32:22-32 and referenced elsewhere in Hosea 12:4. The account includes the renaming of Jacob as “Israel”, literally “He who struggles with God.” The account is also regularly described as Jacob wrestling with God. Jacob spent the night alone on a riverside. There, a mysterious being—considered to be an angel or God himself—wrestled with Jacob, even striking him painfully in the hollow of his thigh. Jacob asks the being his name, and while he doesn’t receive an answer, he names the place where they wrestled Peniel or Penuel. [Genesis 32:29-30] The event occurs during Jacob’s journey back to Canaan. The identity of Jacob’s wrestling opponent is a matter of debate, named variously as a dream figure, a prophetic vision, an angel (such as Michael and Samael), a protective river spirit, Jesus or God. REVERSE: Features Gustav Doré’s image of Jacob struggling with a winged angel next to the river Jabbok. 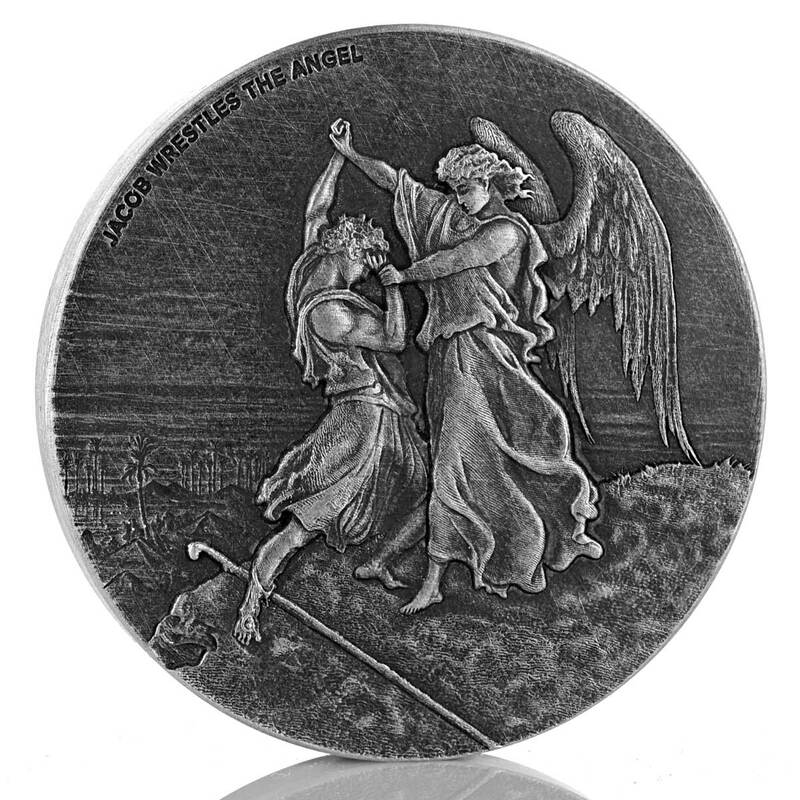 Included certificate of authenticity lists Genesis 32:22-32, in which Jacob wrestles with a heavenly being, often referred to as an angel, all night until the break of day when the being dislocates his hip by touching it. Jacob does not let go of the being until he is blessed. The heavenly being renames him Israel and blesses him. Calming the storm is one of the miracles of Jesus in the Gospels, namely in Matthew 8:23-27, Mark 4:35-41, and Luke 8:22-25. This episode is distinct from Jesus’ walk on water which also involves a boat on the lake and appears later in the narrative, in chapter 14 of Matthew. 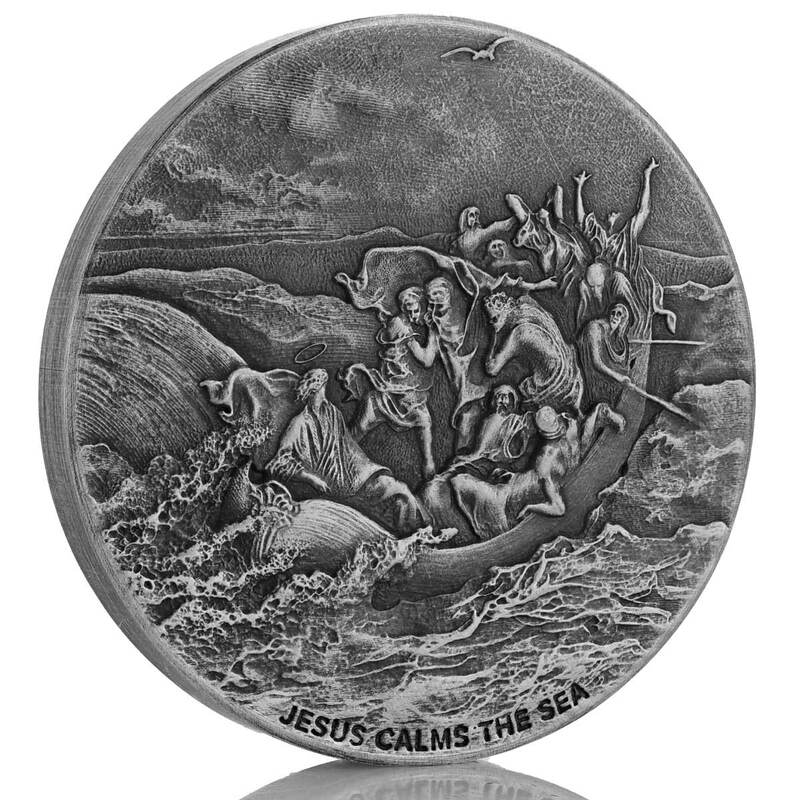 REVERSE: Design inspired by Gustave Doré’s illustration of “Jesus Stills the Tempest”. Included certificate of authenticity lists Matthew 8:18-27 (NLT) which states: When Jesus saw the crowd around him, he instructed the disciples to cross to the other side of the lake. Then Jesus got into the boat and started across the lake with his disciples. Suddenly, a fierce storm struck the lake, with waves breaking into the boat. But Jesus was sleeping. The disciples went and woke him up, shouting, “Lord save us! We’re going to drown”! Jesus responded, “Why are you afraid? You have so little faith”! Then he got up and rebuked the wind and waves, and suddenly all was calm. The disciples were amazed. “Who is this man”? they asked, “Even the winds and waves obey him”! Cain and Abel were sons of Adam and Eve in the biblical Book of Genesis. 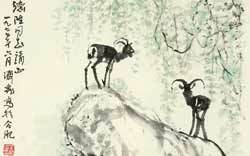 Cain, the firstborn, tilled the soil, and his brother Abel was a shepherd. The brothers made sacrifices to God, each of his own produce, but God favored Abel’s sacrifice instead of Cain’s. Cain murdered Abel. God punished Cain to a life of wandering, but set a mark on him so that no man would kill him. Cain then dwelt in the land of Nod, where he built a city and fathered the line of descendants beginning with Enoch. The narrative never explicitly states Cain’s motive (though it does describe him as being wrathful, and his motive is traditionally assumed to be envy), nor God’s reason for rejecting Cain’s sacrifice, nor details on the identity of Cain’s wife. Some traditional interpretations consider Cain to be the originator of evil, violence, or greed. According to Genesis, Cain was the first human born and Abel was the first to die. 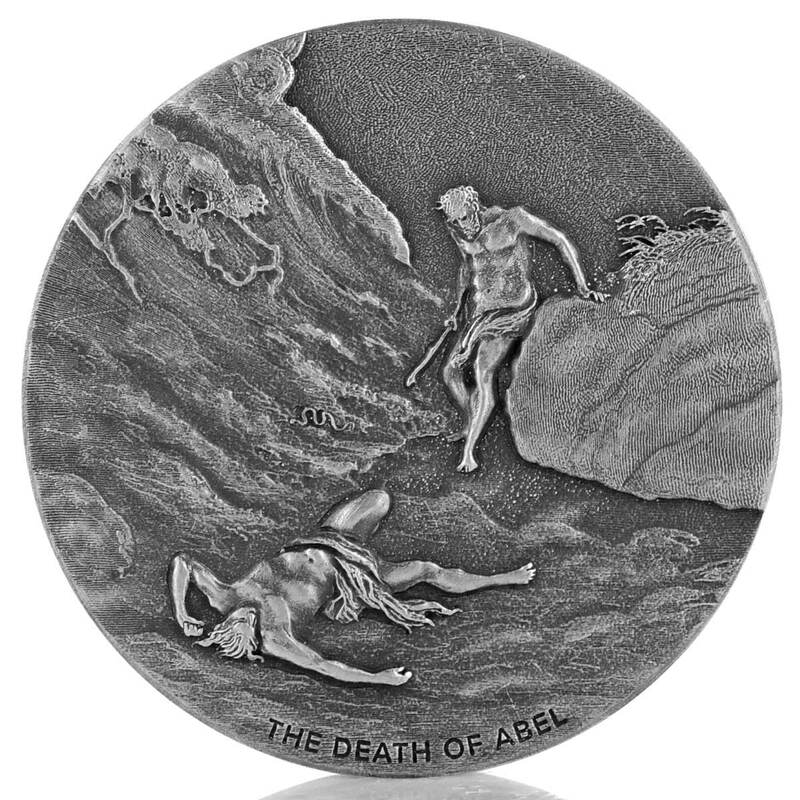 REVERSE: Features Cain, club in hand, standing over the body of the murdered Abel. Included certificate of authenticity lists Genesis 4:4-11 (NLT) which states: The Lord accepted Abel and his gift, but he did not accept Cain and his gift. This made Cain very angry. “Why are you so angry”, the Lord asked Cain. “You will be accepted if you do what is right. But if you refuse to do what is right, then watch out! Sin is crouching at the door, eager to control you. But you must subdue it and be its master”. One day Cain suggested to his brother, “Let’s go out into the fields.” And while they were in the field, Cain attacked his brother, Abel, and killed him. The biblical Magi, also referred to as the (Three) Wise Men or (Three) Kings, were, in the Gospel of Matthew and Christian tradition, a group of distinguished foreigners who visited Jesus after his birth, bearing gifts of gold, frankincense and myrrh. The number three is not actually mentioned but has been assumed, perhaps, from the fact that three gifts are mentioned. They are regular figures in traditional accounts of the nativity celebrations of Christmas and are an important part of Christian tradition. 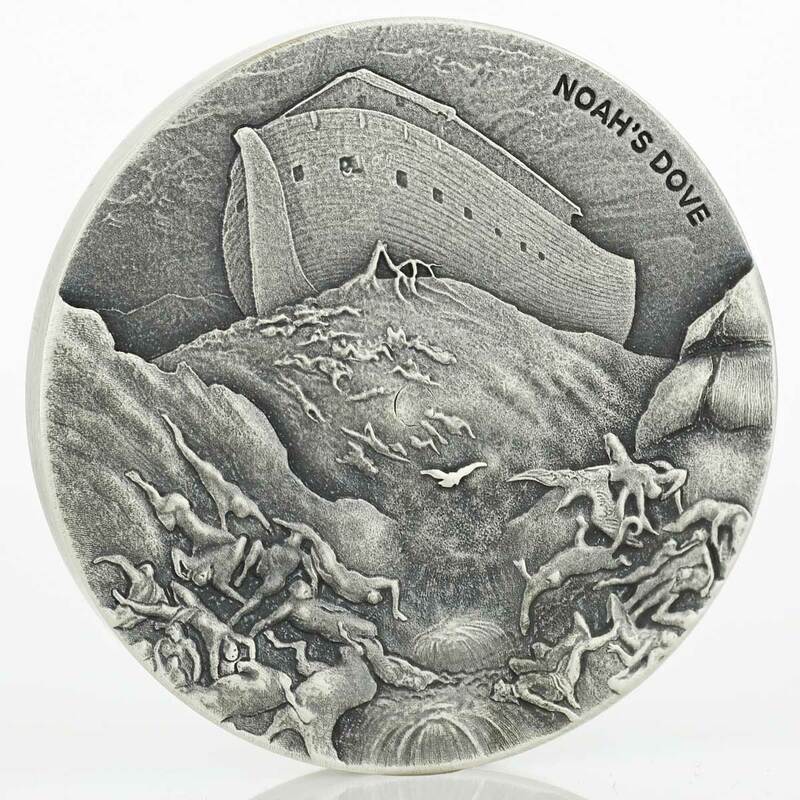 REVERSE: Features a dove flying from the beached Ark. The landscape is littered with the drowned dead. 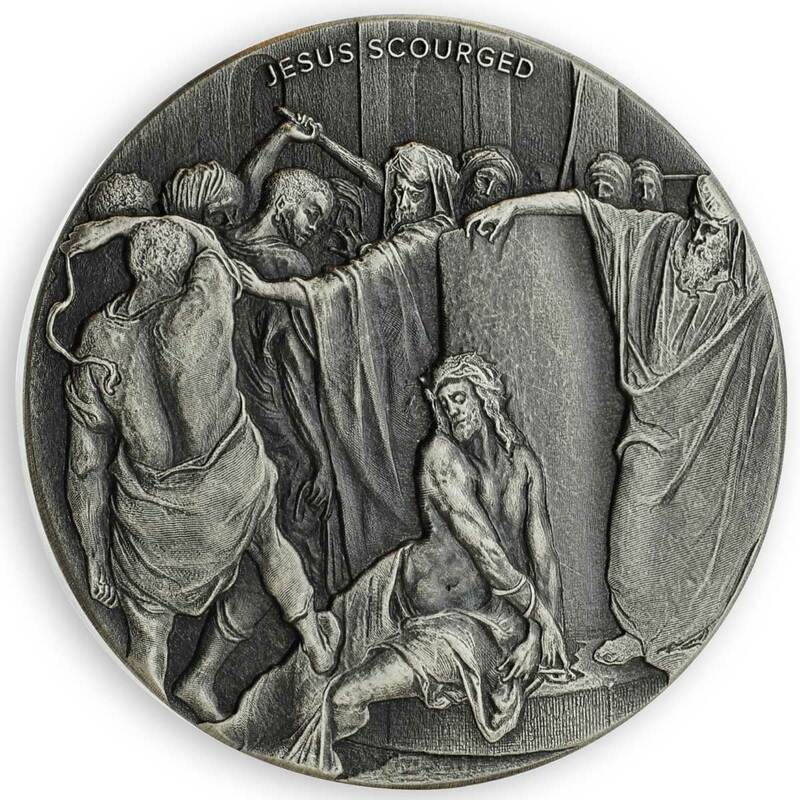 REVERSE: Features Jesus’ flogging during the trial leading up to His crucifixion. Included certificate of authenticity lists John 19:1 (ESV) which states: Then Pilate took Jesus and flogged him. Elijah, in company with Elisha, approaches the Jordan. He rolls up his mantle and strikes the water. The water immediately divides and Elijah and Elisha cross on dry land. 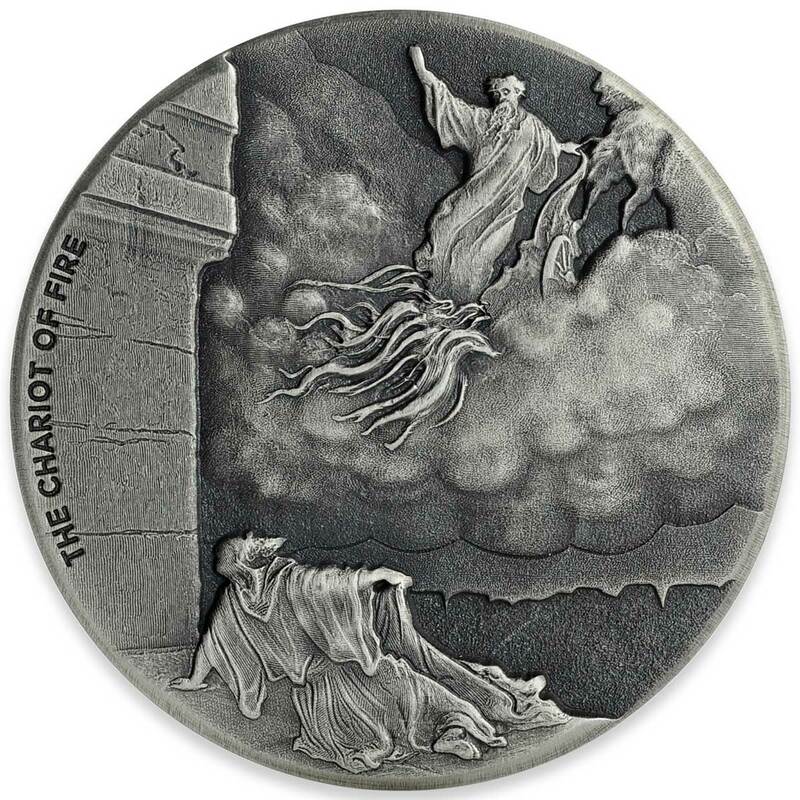 Suddenly, a chariot of fire and horses of fire appear and Elijah is lifted up in a whirlwind. 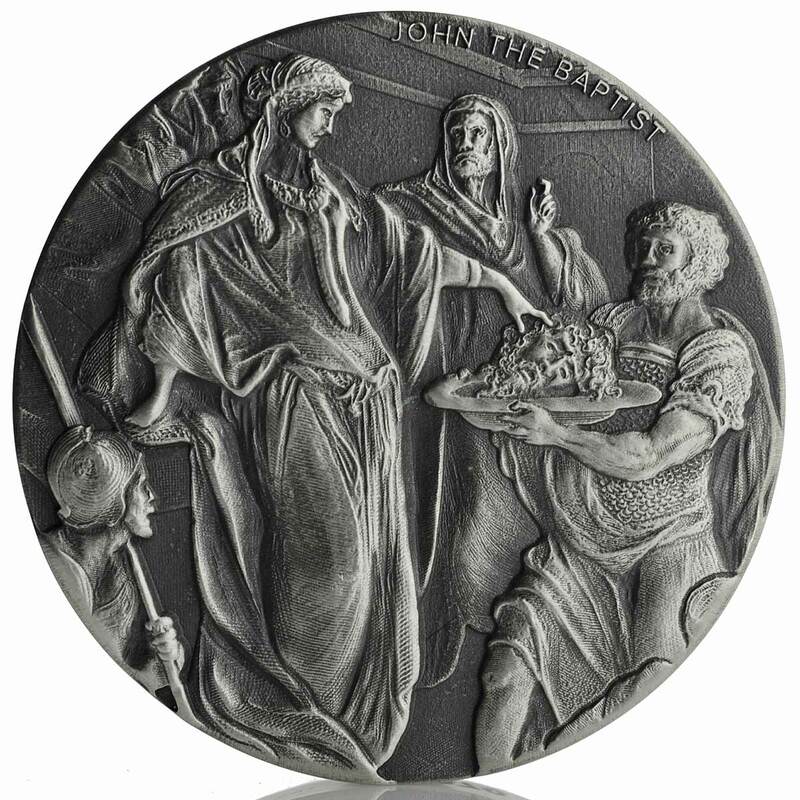 Included certificate of authenticity lists Matthew 14:8-11 (NLT) which states: At her mother’s urging, the girl said, “I want the head of John the Baptist on a tray!” Then the king regretted what he had said; but because of the vow he had made in front of his guests, he issued the necessary orders. So John was beheaded in the prison, and his head was brought on a tray and given to the girl, who took it to her mother. 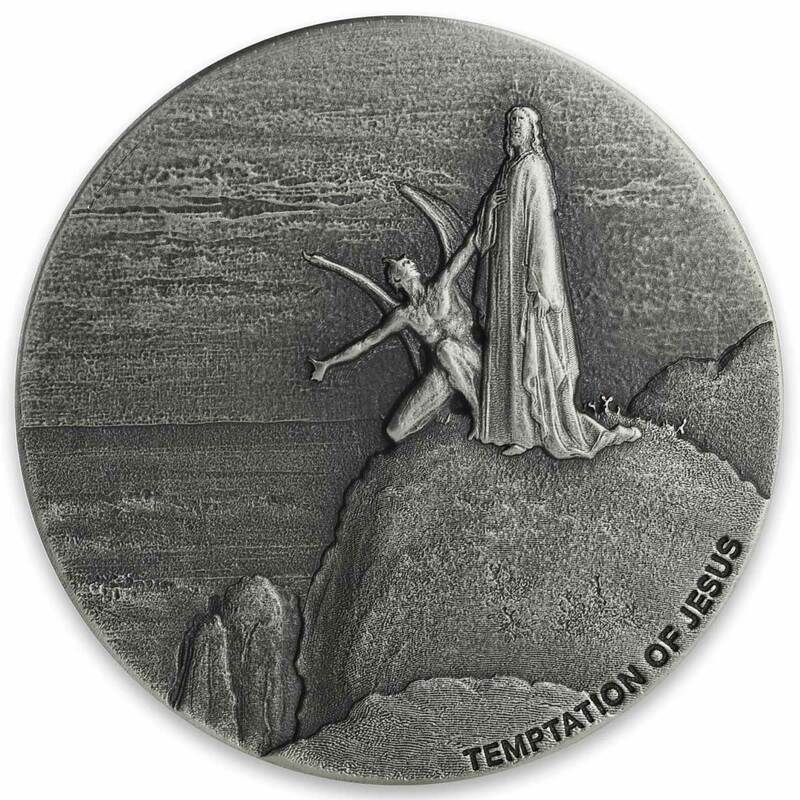 The temptation of Christ is detailed in the Gospels of Matthew, Mark and Luke. According to these texts, after being baptized by John the Baptist, Jesus fasted for 40 days and nights in the Judaean Desert. During this time, Satan appeared to Jesus and tried to tempt him. Jesus having refused each temptation, the Devil then departed and Jesus returned to Galilee to begin his ministry. Mark’s account is very brief, merely noting the event. Matthew and Luke describe the temptations by recounting the details of the conversations between Jesus and Satan. Since the elements that are in Matthew and Luke but not in Mark are mostly pairs of quotations rather than detailed narration, many scholars believe these extra details originate in the Q Document. The temptation of Christ is not explicitly mentioned in the Gospel of John but in this gospel Jesus does refer to the Devil, “the prince of this world”, having no power over Him. 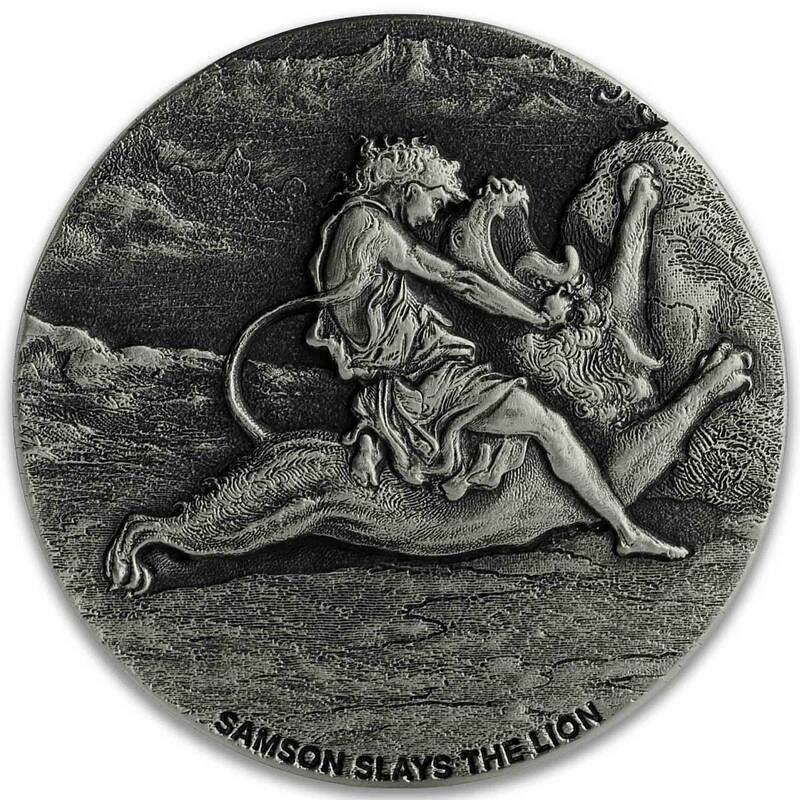 REVERSE: Features the encounter of Samson and the lion as a great power comes over him to defeat the lion. Included certificate of authenticity lists Judges 14:5-6 (NCV) Samson went down to Timnah, as far as the vineyard near there. Suddenly, a young lion came roaring toward Samson! The Spirit of the Lord entered Samson with great power, and he tore the lion apart with his bare hands. For him it was as easy as tearing apart a young goat. REVERSE: Features the devil tempting Jesus to worship him from atop the mountain based on Gustave Doré’s original artwork. Included certificate of authenticity lists Mark 15:16-19 (NLT2) which states: The soldiers took Jesus into the courtyard of the governor’s headquarters and called out the entire regiment. They dressed him in a purple robe, and they wove thorn branches into a crown and put it on his head. They then saluted him and taunted, “Hail, King of the Jews!” And they struck him on the head with a reed stick, spit on him, and dropped to their knees in mock worship. Each coin comes in a book-like box made of cardboard designed to look like leather, complete with gilded lettering and a gold coloured band to hold it closed. They’re reasonably large but look ok and hold the certificate in the inside cover with a number that matches the edge inscription of the coin. 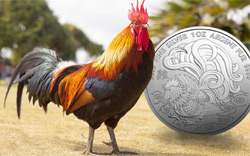 For those looking to collect six coins, be they from a single years run or a mix over time, Scottsdale have produced a far superior alternative to hold them. Made of hand-sewn leather, the faux book opens to reveal spaces for six coins on one side, and slots to hold six certificates on the other. 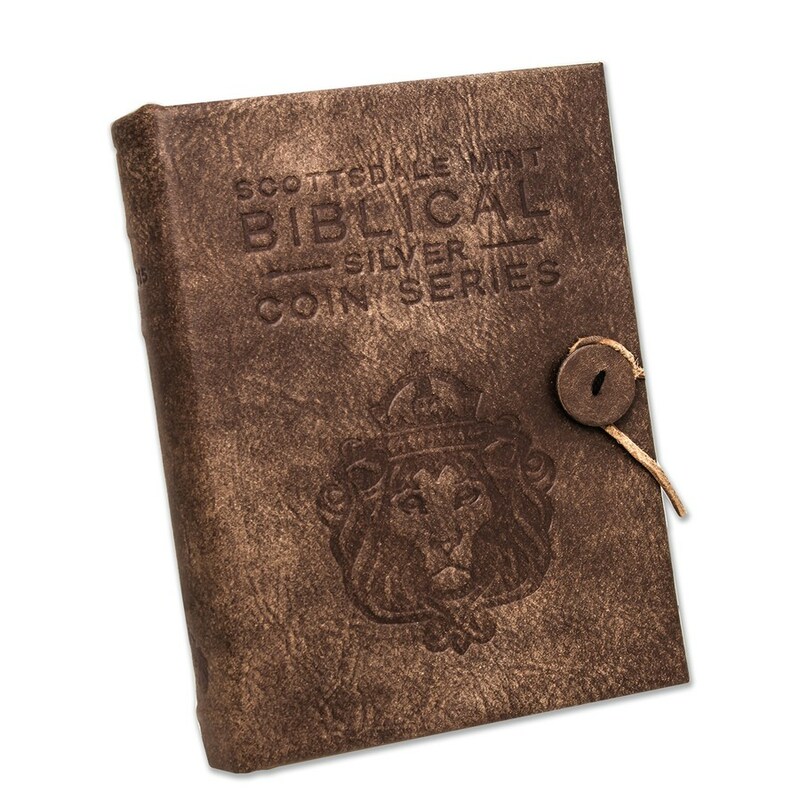 Designed to look like an old leather bible, even down to the ribbed spine and embossed lettering and image, it’s a fine item perfectly suited to the series. About the only caveat we have is that it’s dated on the spine. Without a date it would better suit collectors of ocassional coins spread over multiple years, as well as being less of a pain to produce and stock you’d have thought. A minor point and overall, it looks worth the $74.99 that it costs to procure. We’d like to see more mints make the effort to produce some nice collection boxes/binders etc., especially as the number of coins in a set rises. Paul Gustave Louis Christophe Doré, born in Strasbourg on 6 January 1832, was a French artist, printmaker, illustrator and sculptor. Doré worked primarily with wood engraving. In 1853, Doré was asked to illustrate the works of Lord Byron, followed by additional work for British publishers, including a new illustrated Bible. 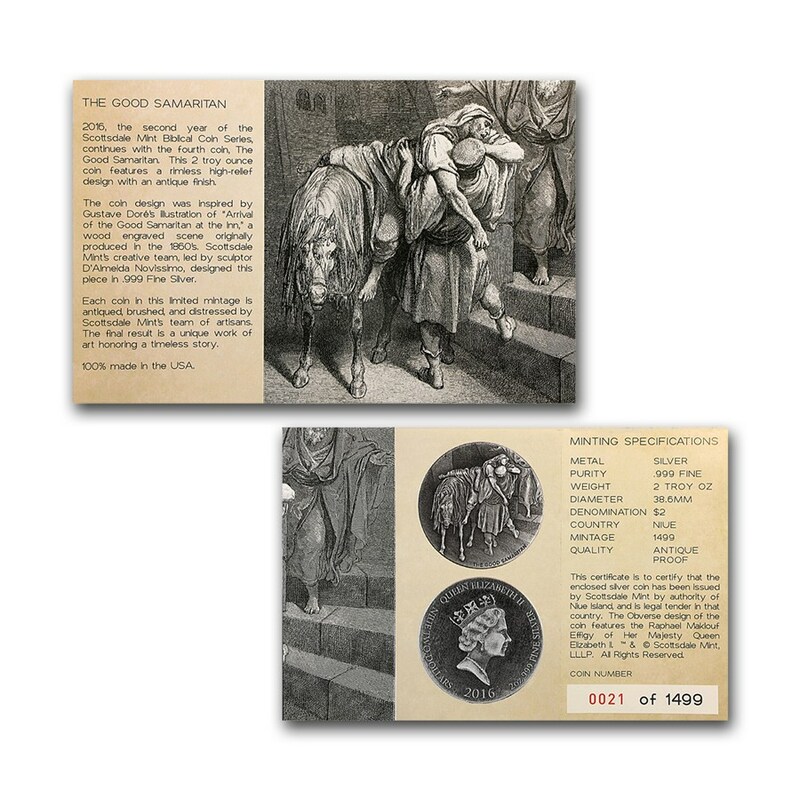 In 1856 he produced twelve folio-size illustrations of The Legend of The Wandering Jew. In the 1860s he illustrated a French edition of Cervantes’s Don Quixote, and his depictions of the knight and his squire, Sancho Panza, have become so famous that they have influenced subsequent readers, artists, and stage and film directors’ ideas of the physical “look” of the two characters. Doré also illustrated an oversized edition of Edgar Allan Poe’s “The Raven”, an endeavor that earned him 30,000 francs from publisher Harper & Brothers in 1883. 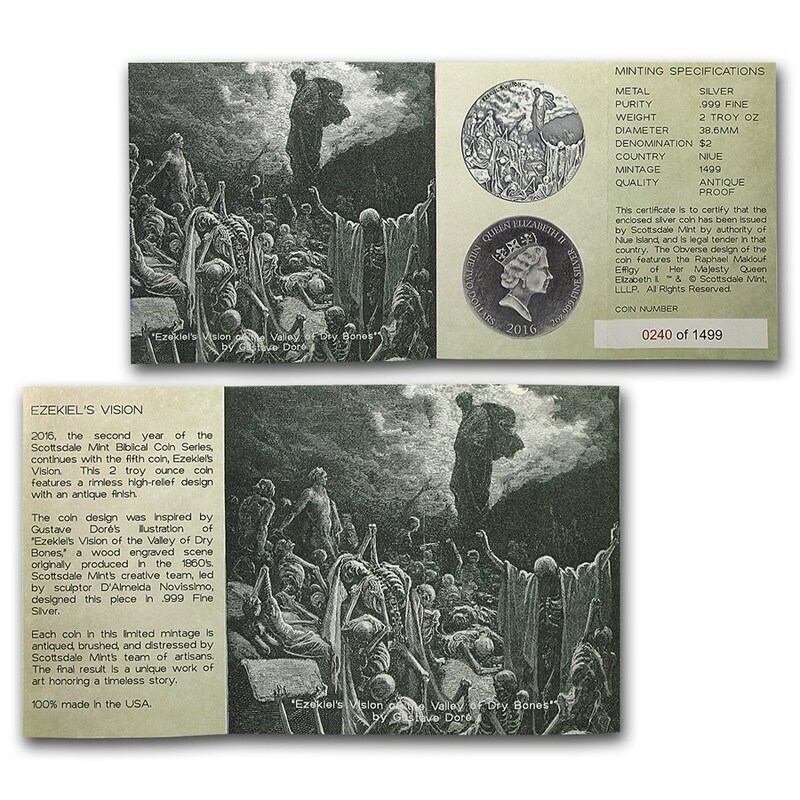 Doré’s illustrations for the Bible (1866), used for this coin series, were a great success, and in 1867 Doré had a major exhibition of his work in London. In 1869, Blanchard Jerrold, suggested that they work together to produce a comprehensive portrait of London. The completed book, London: A Pilgrimage, with 180 engravings, was published in 1872. Doré’s later work included illustrations for new editions of Coleridge’s Rime of the Ancient Mariner, Milton’s Paradise Lost, Tennyson’s Idylls of the King, The Works of Thomas Hood, and The Divine Comedy. Doré’s work also appeared in the weekly newspaper The Illustrated London News. 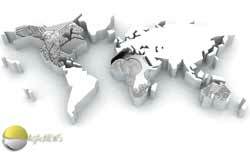 International Justice Mission is a U.S.-based non-profit human rights organization that operates in countries all over the world to rescue victims of individual human rights abuse. IJM works to combat human trafficking including the commercial sexual exploitation of children, forced labor slavery, illegal detention, police brutality and illegal land seizure. Based on referrals of abuse received from relief and development organizations, IJM conducts professional investigations of the abuses and mobilizes intervention on behalf of the victims. Though it is a faith-based organization IJM assists victims regardless of their religion. The fourfold purpose of IJM is victim relief, perpetrator accountability, victim aftercare, and structural transformation.